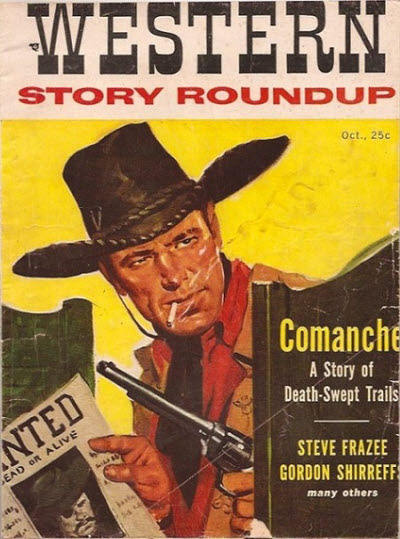 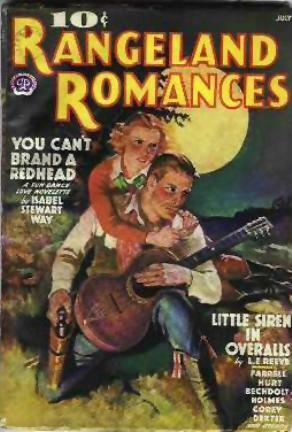 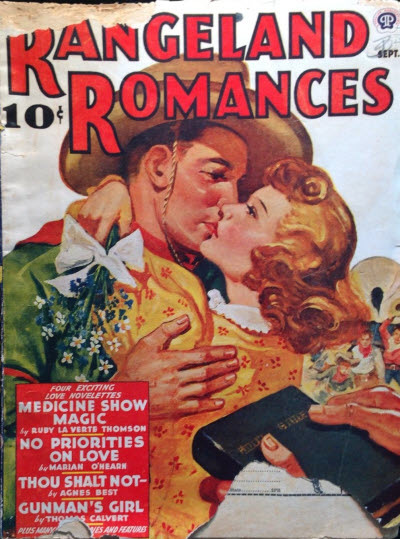 A Canadian reprint edition exists for the magazine. 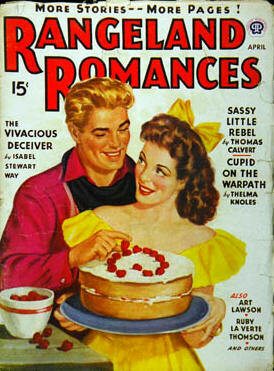 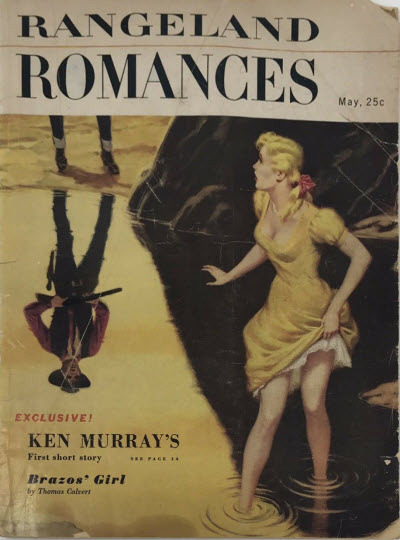 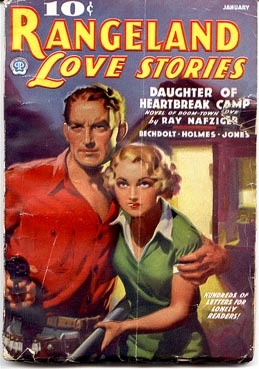 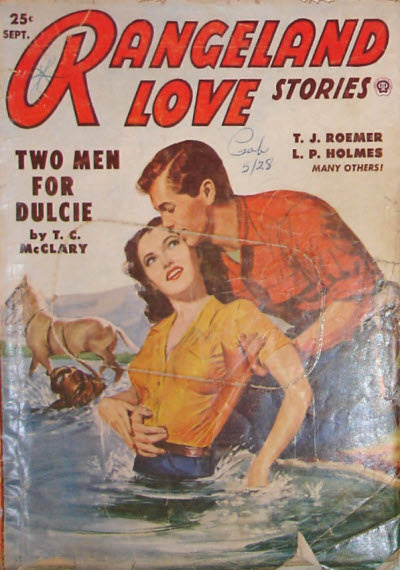 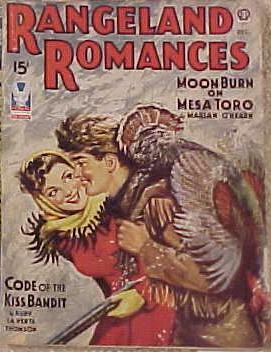 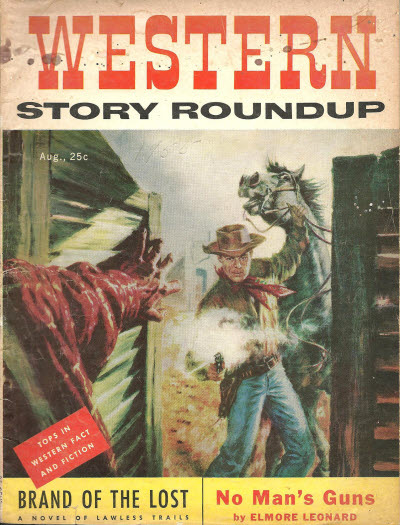 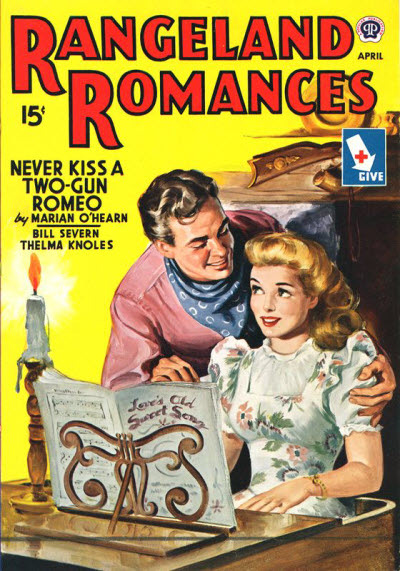 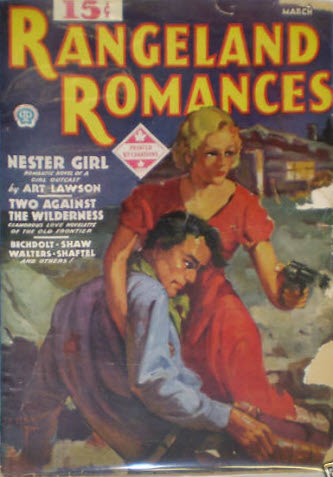 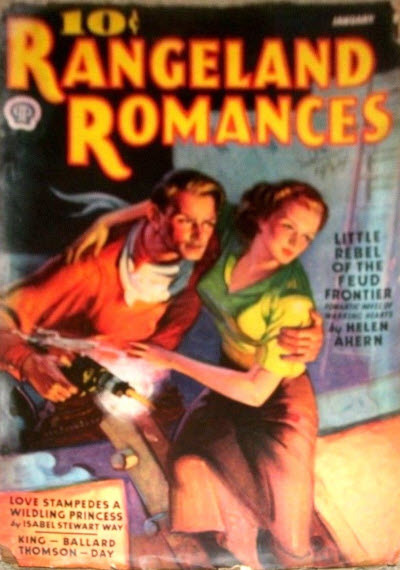 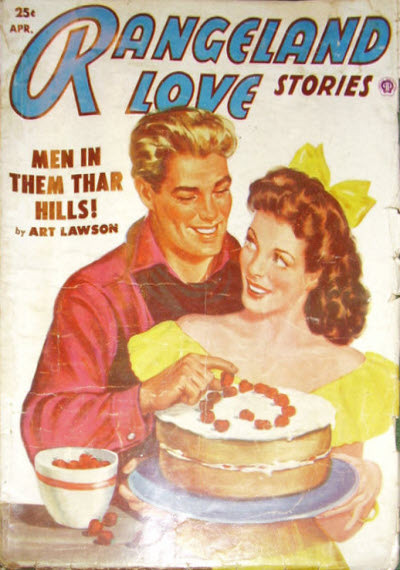 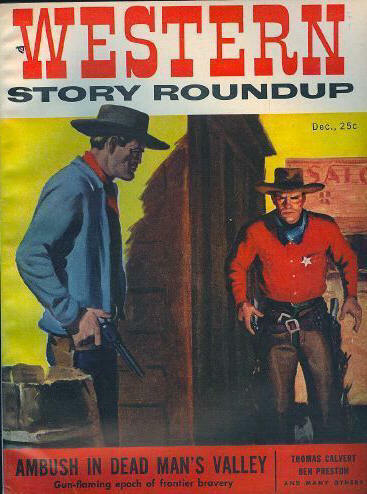 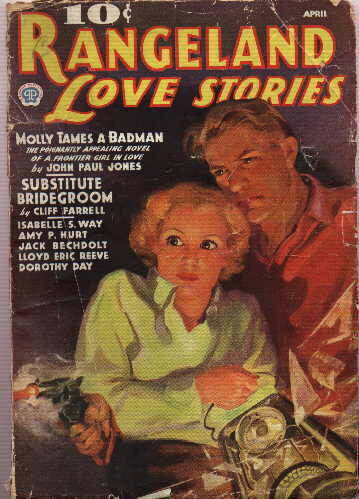 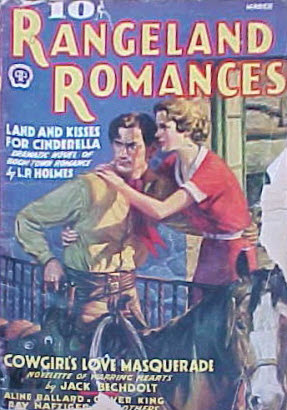 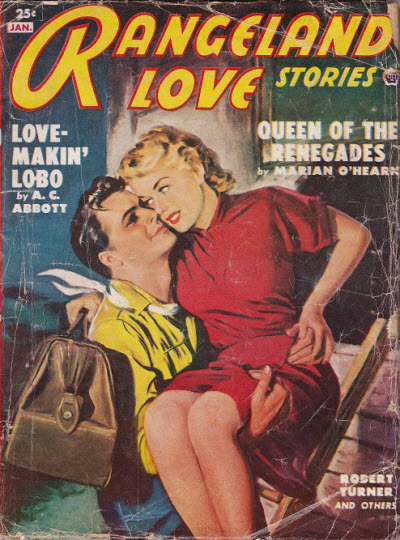 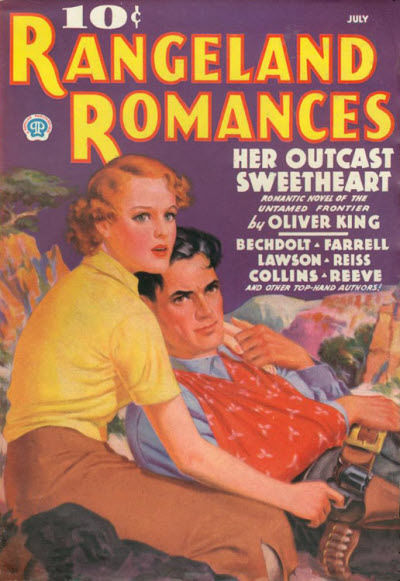 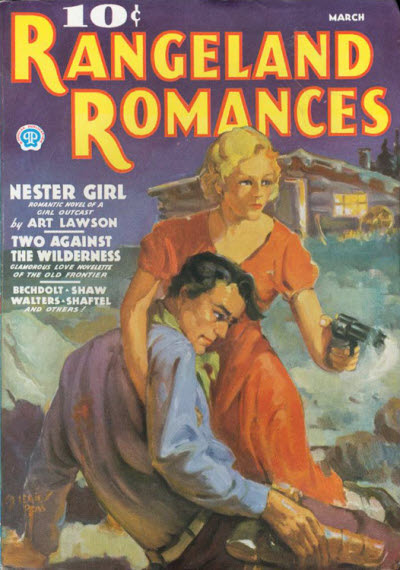 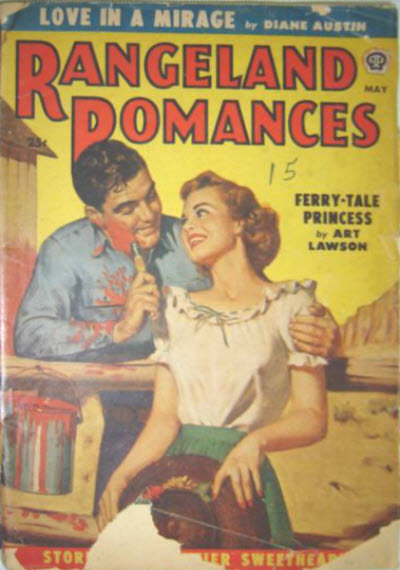 A British Reprint Edition is also believed to have appeared in the late 1940s but no details have yet been located. 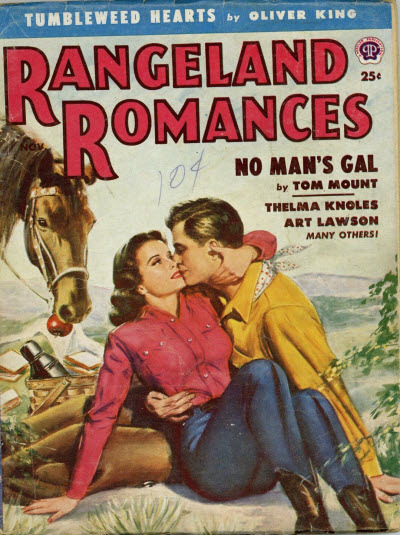 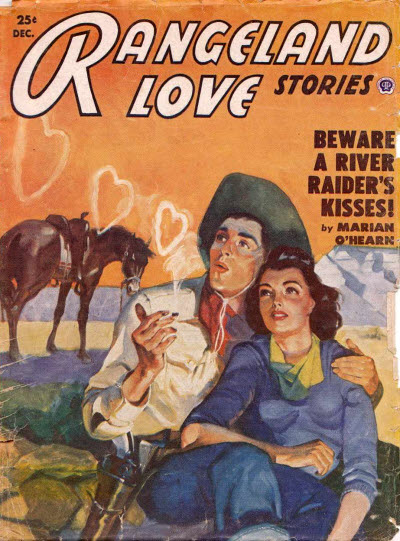 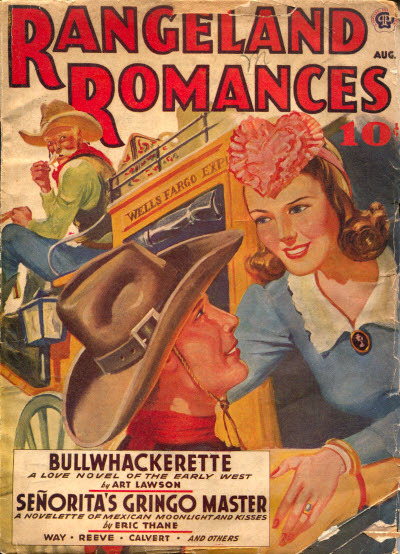 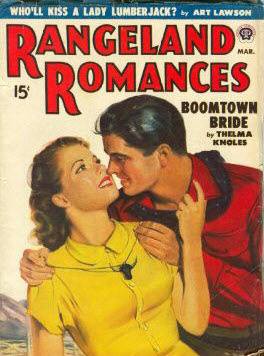 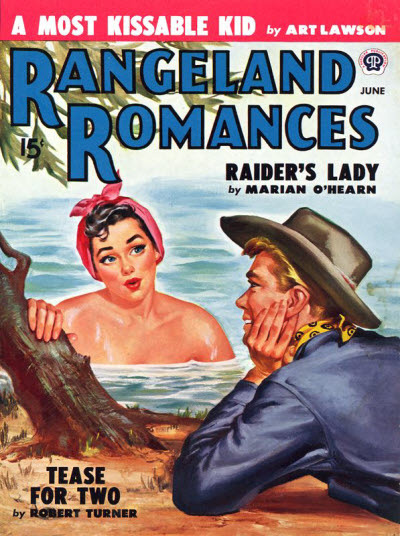 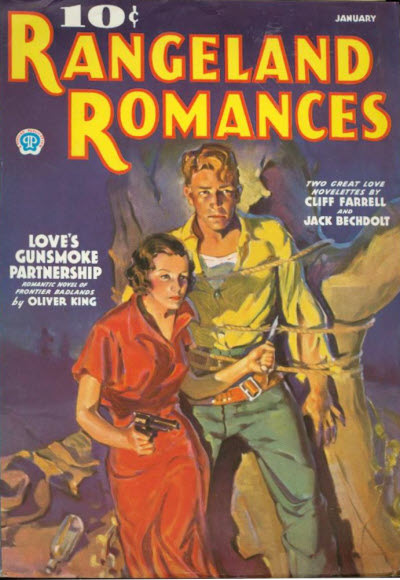 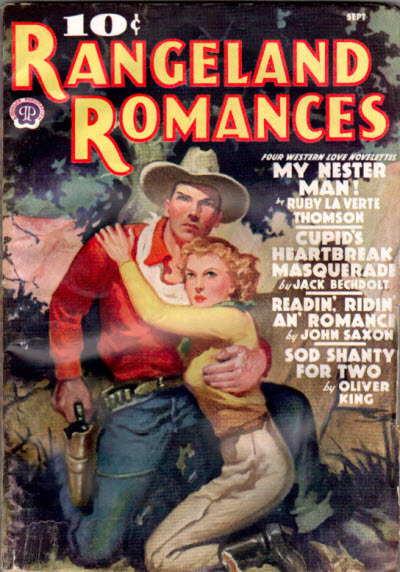 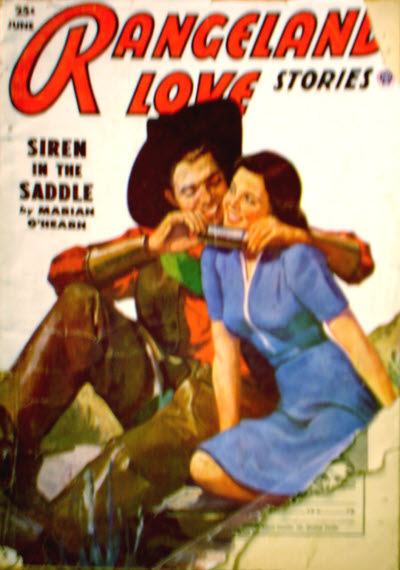 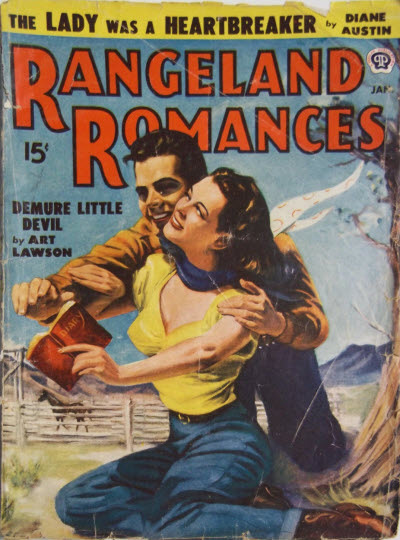 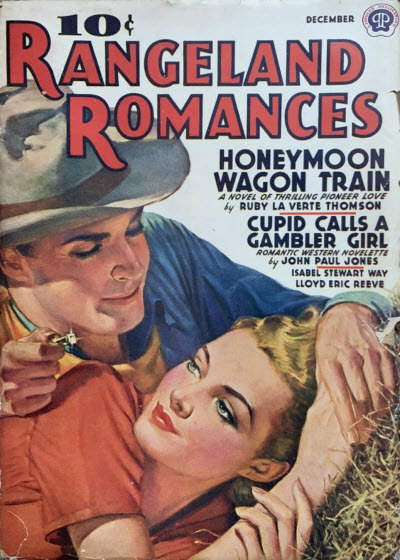 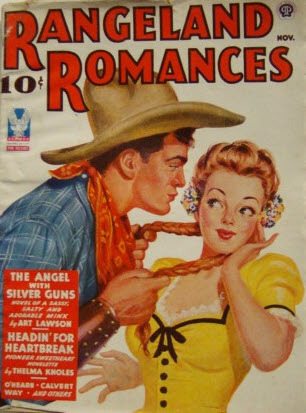 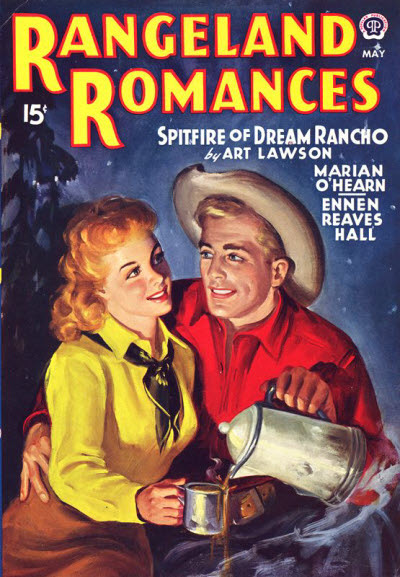 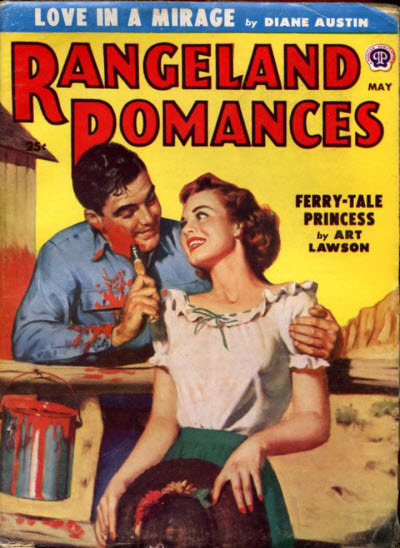 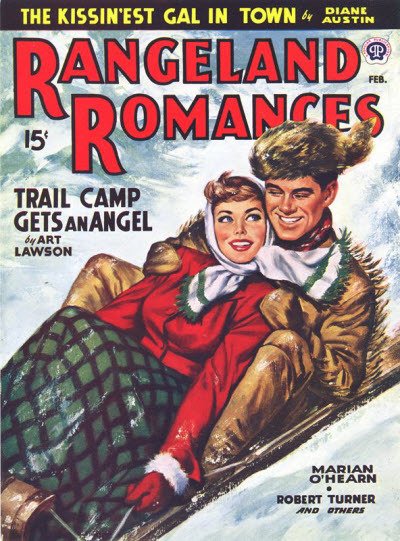 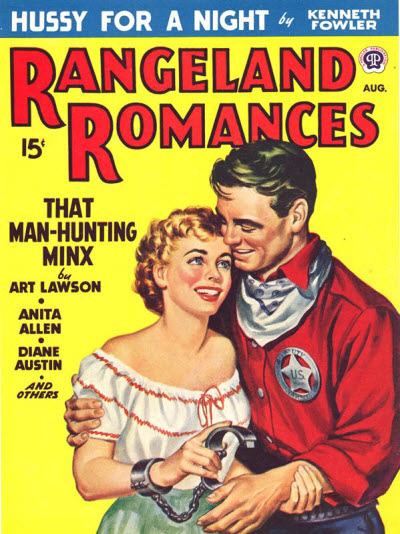 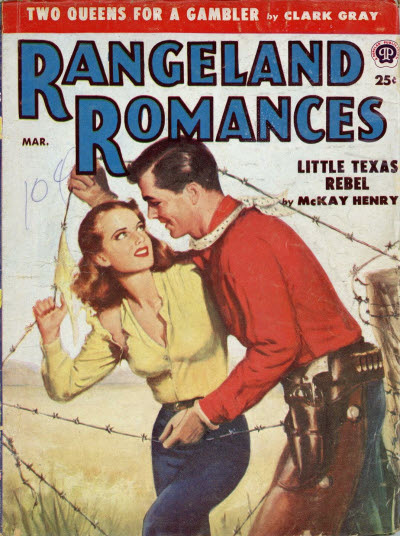 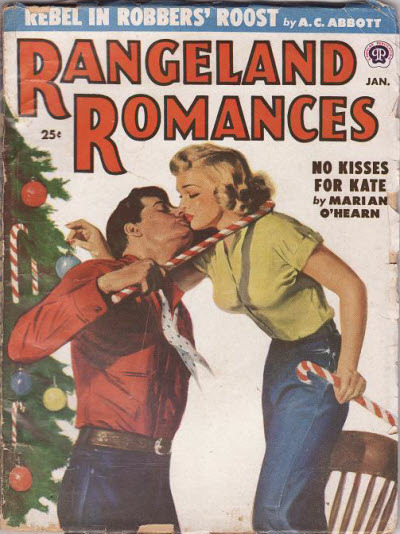 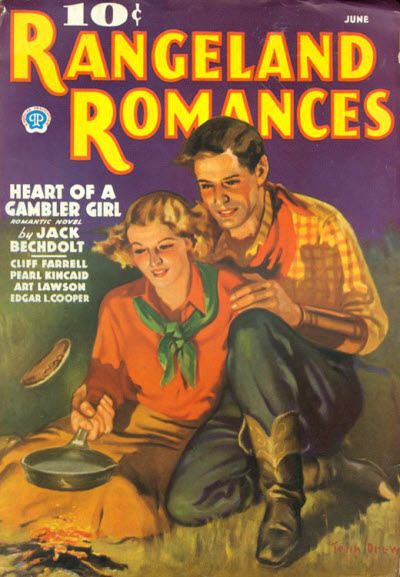 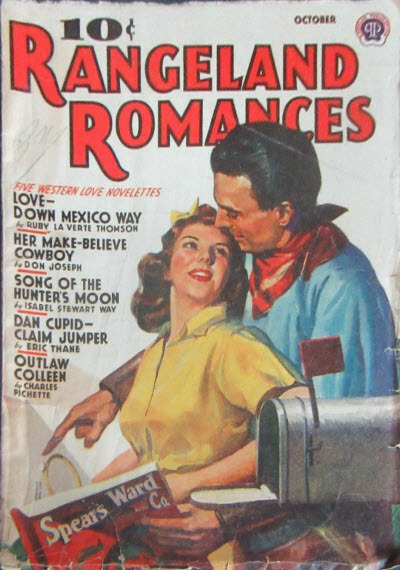 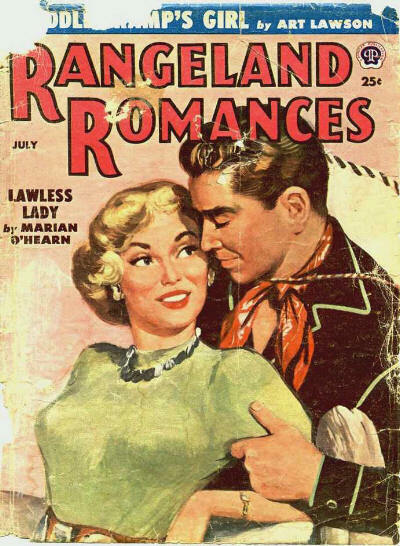 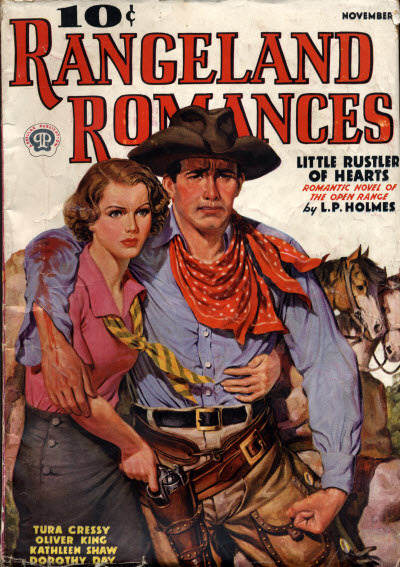 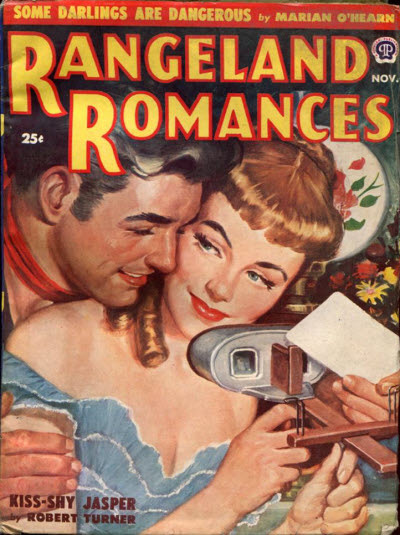 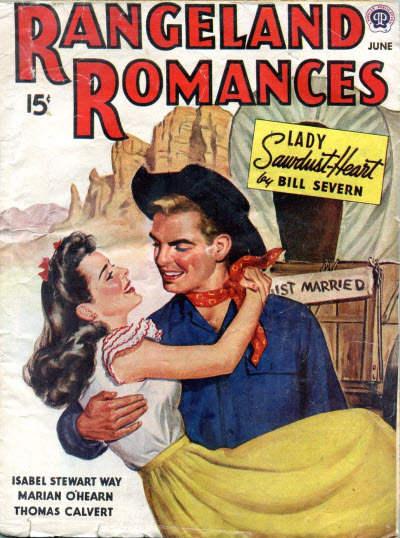 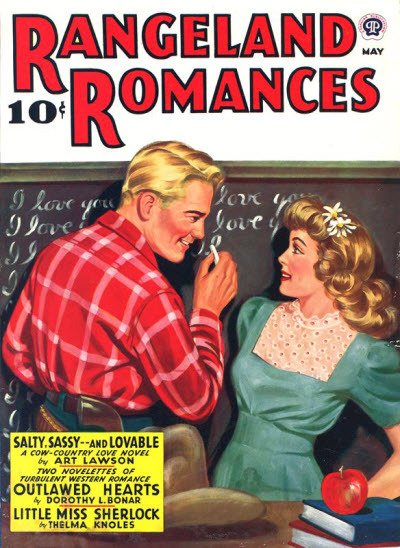 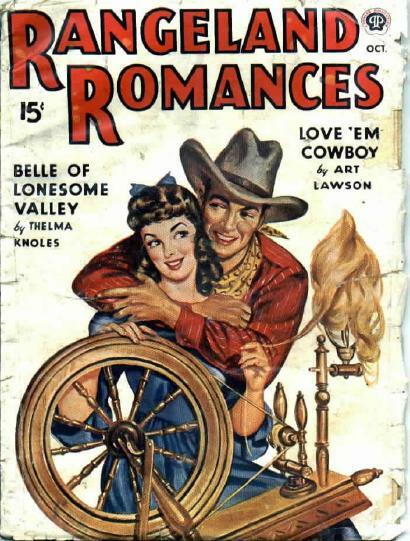 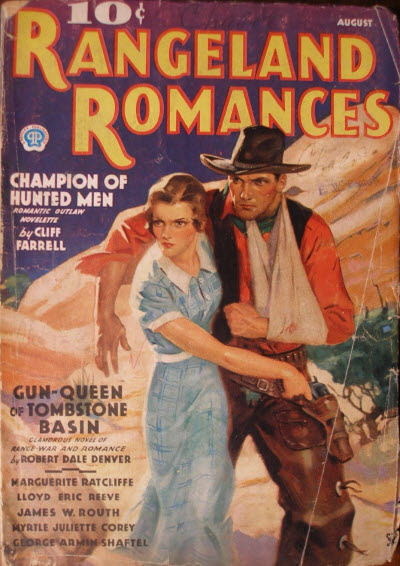 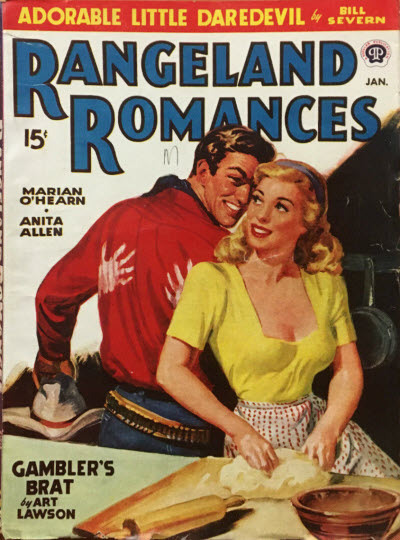 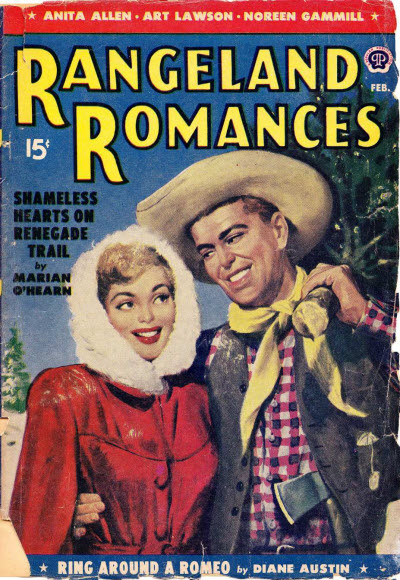 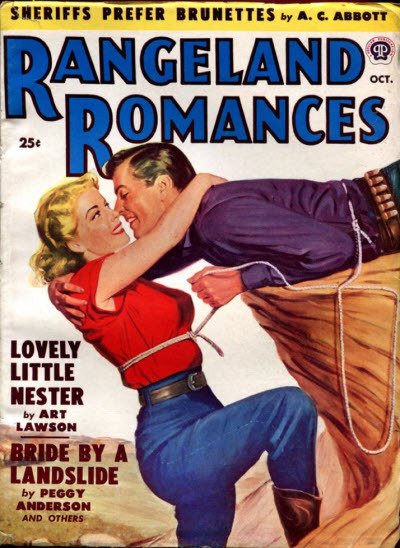 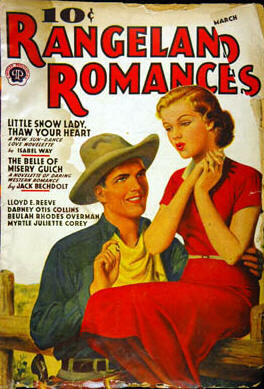 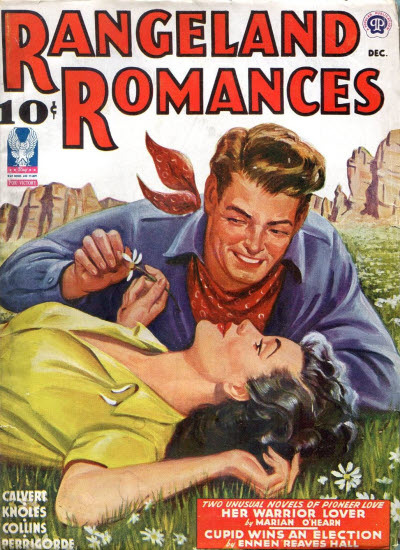 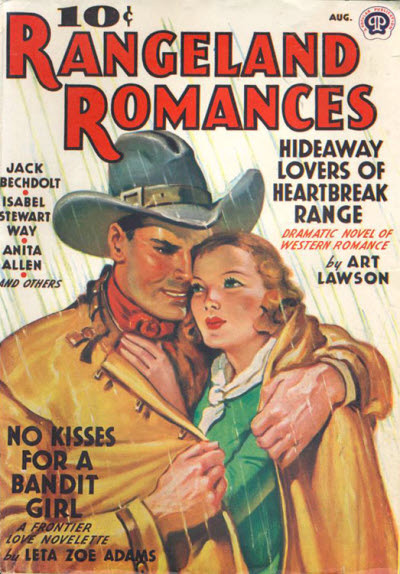 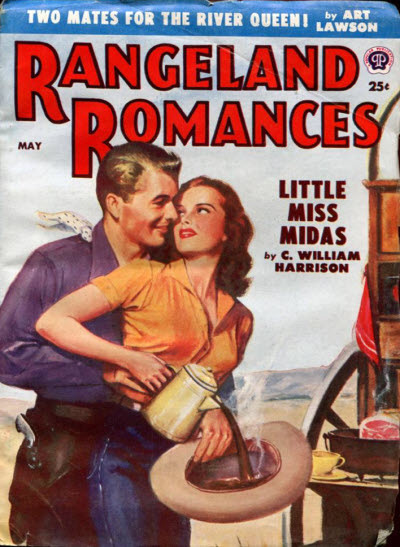 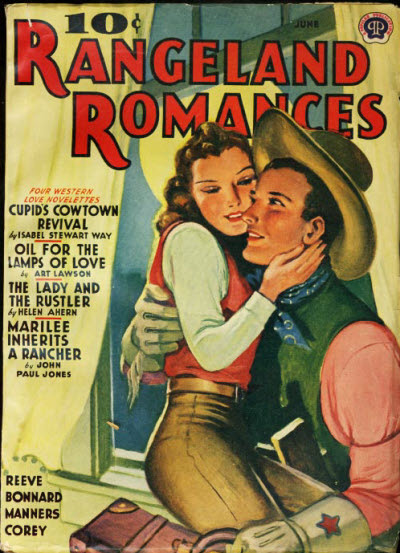 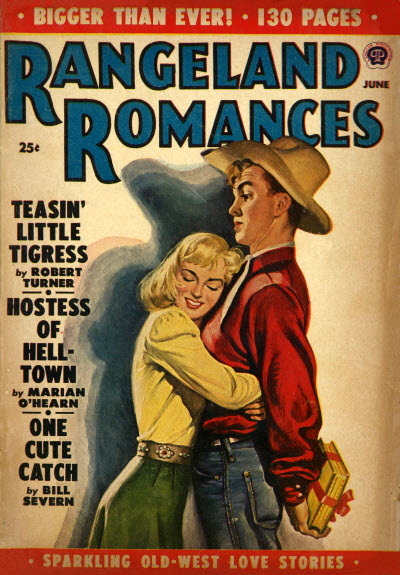 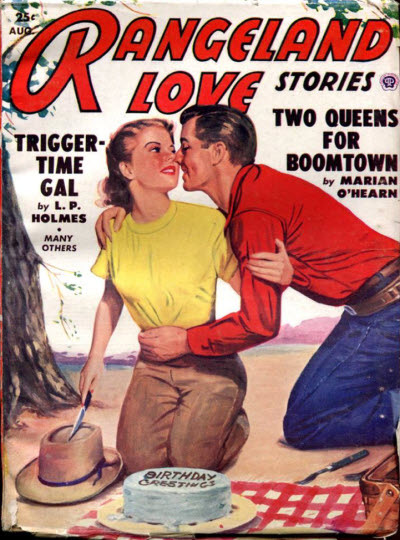 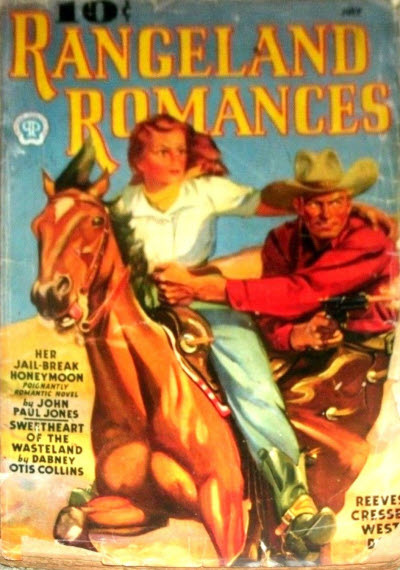 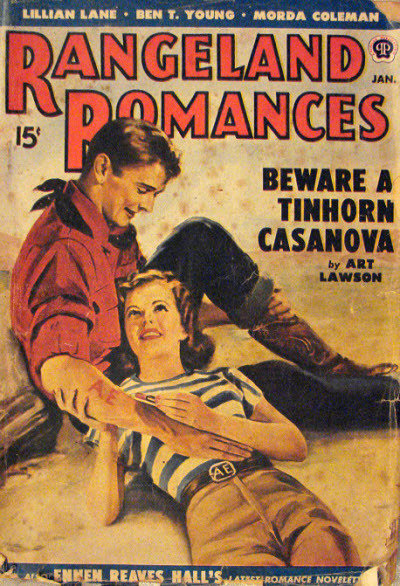 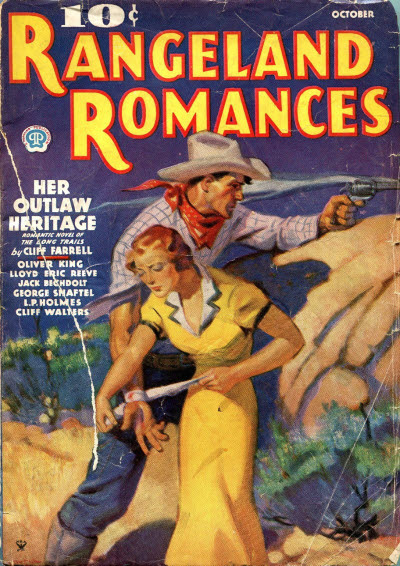 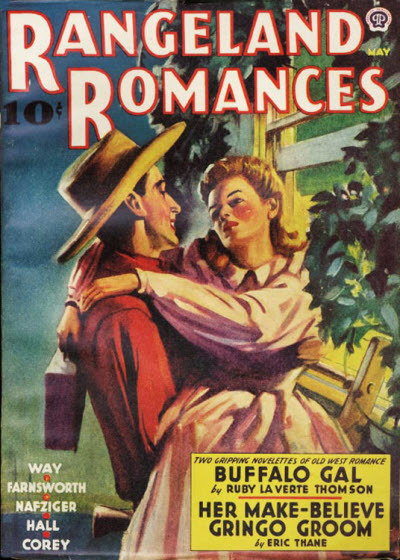 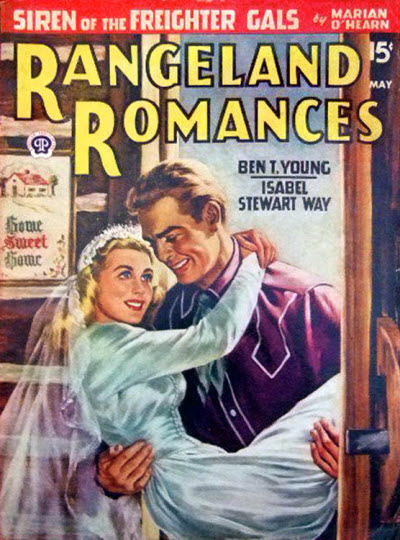 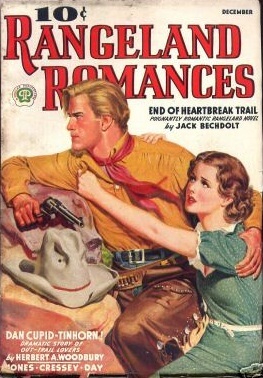 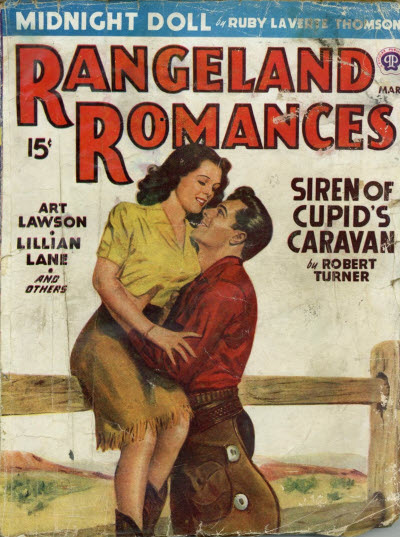 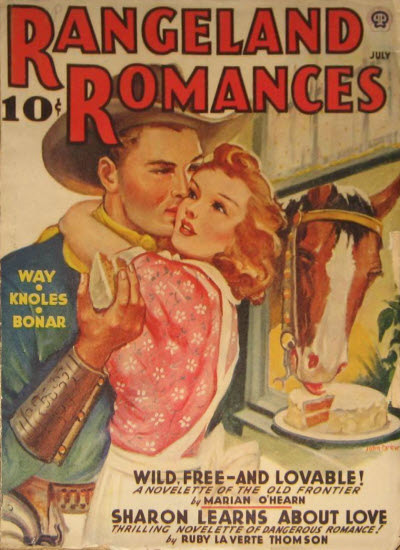 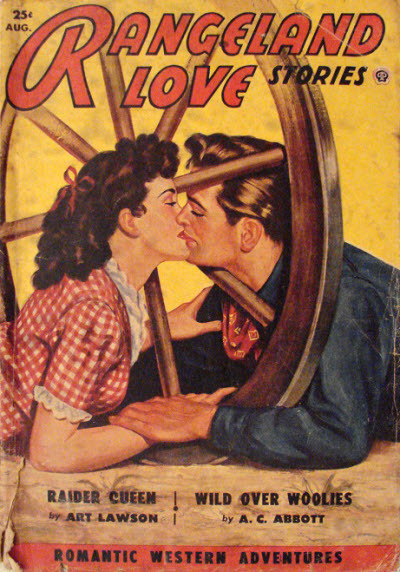 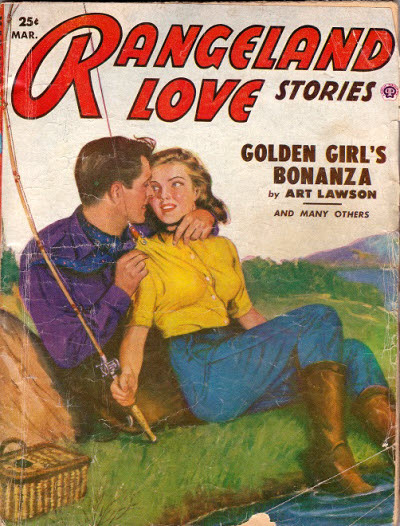 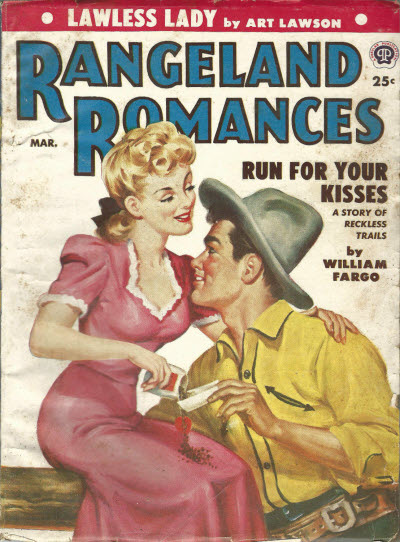 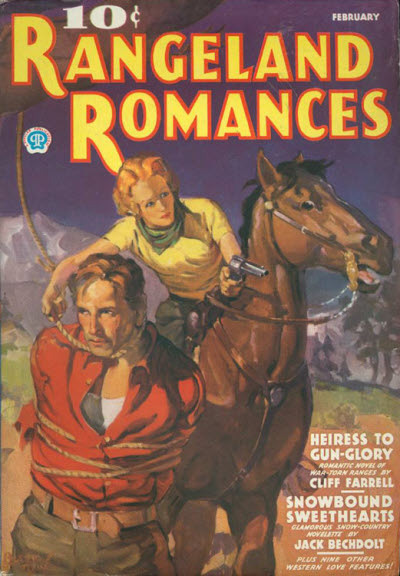 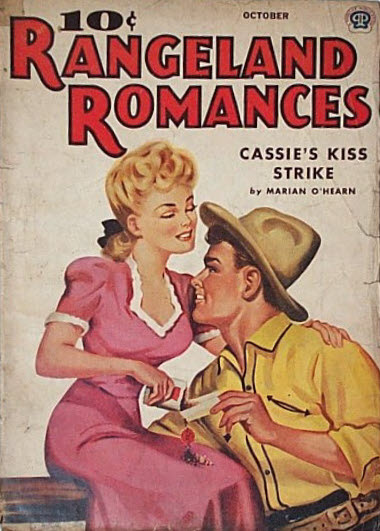 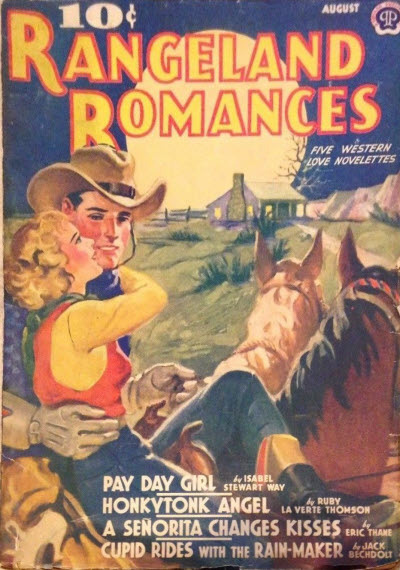 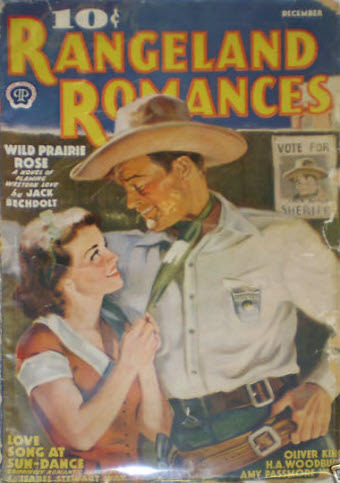 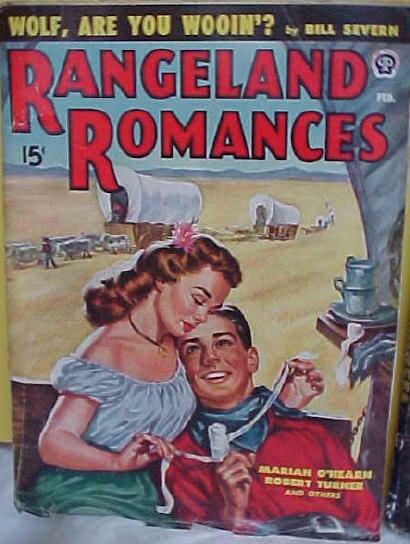 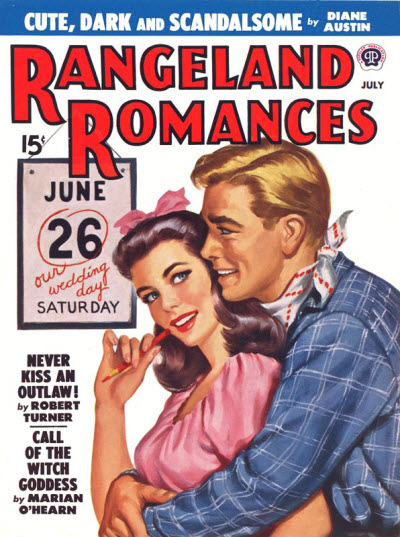 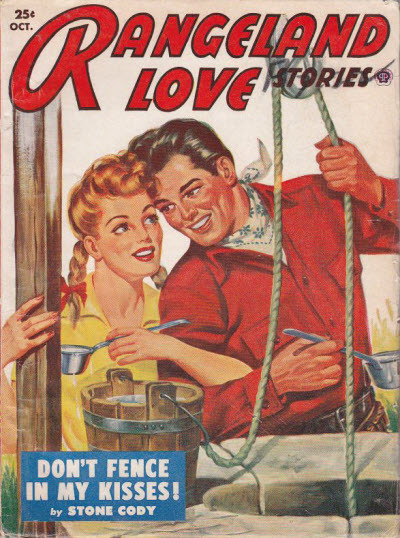 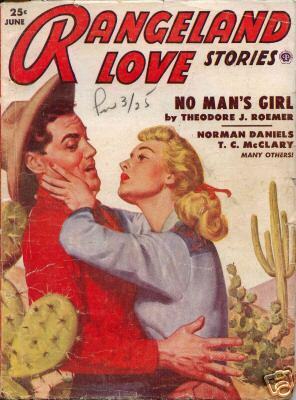 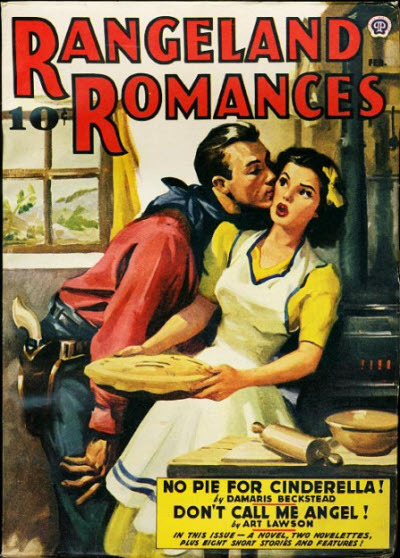 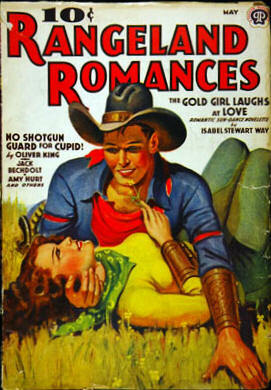 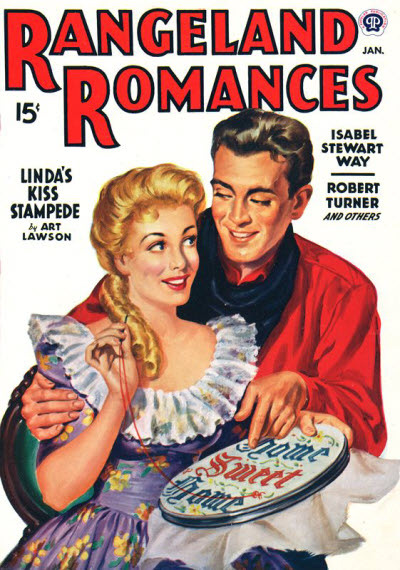 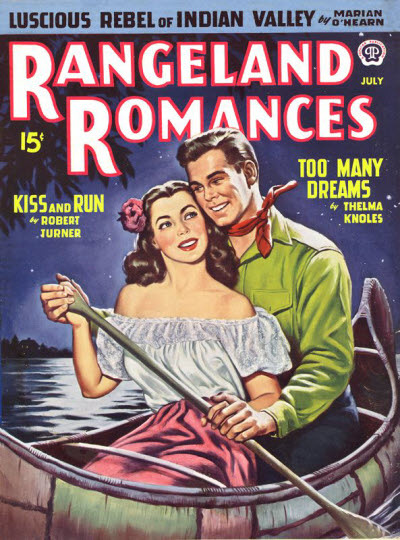 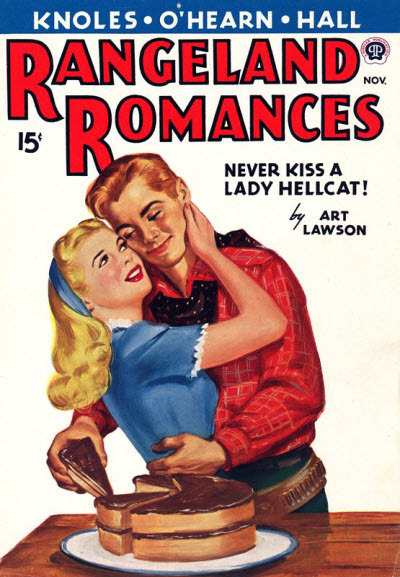 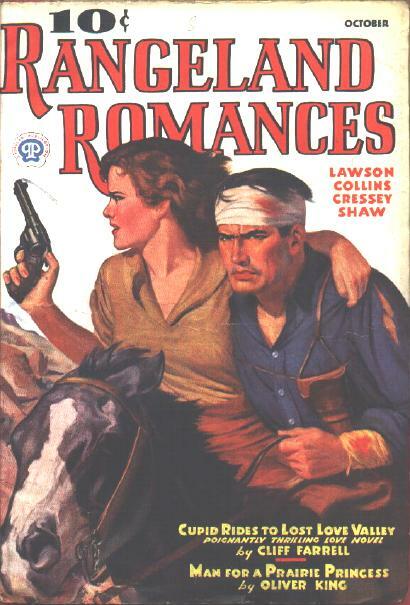 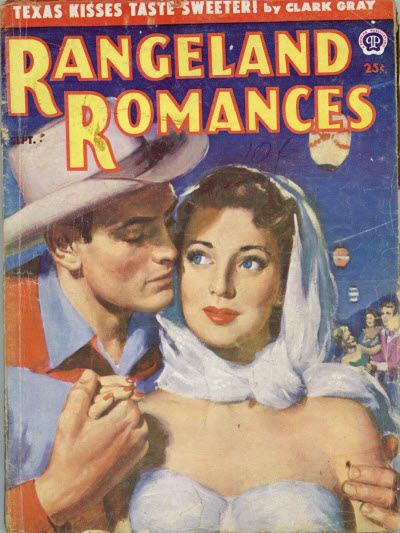 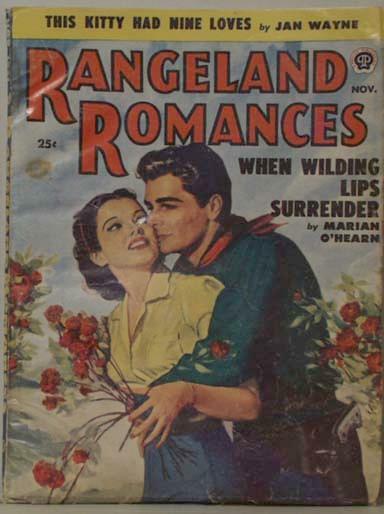 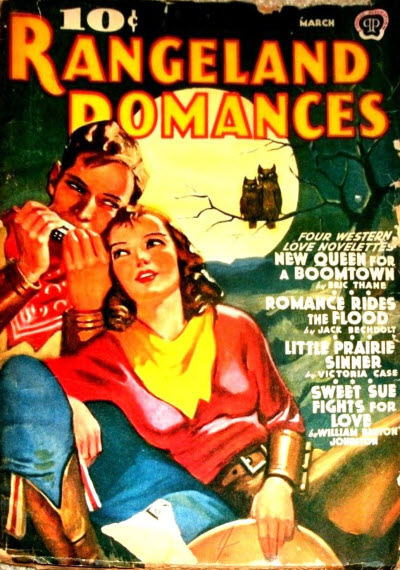 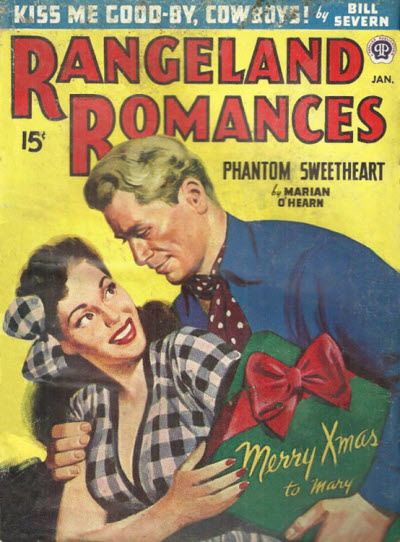 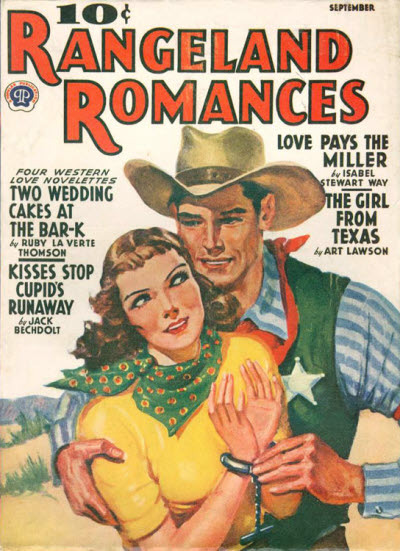 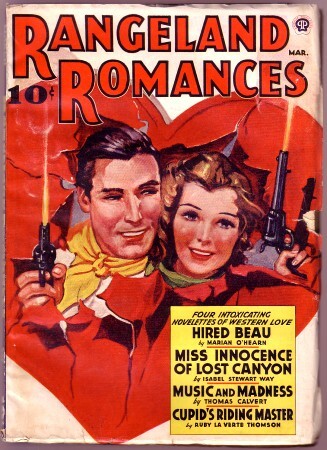 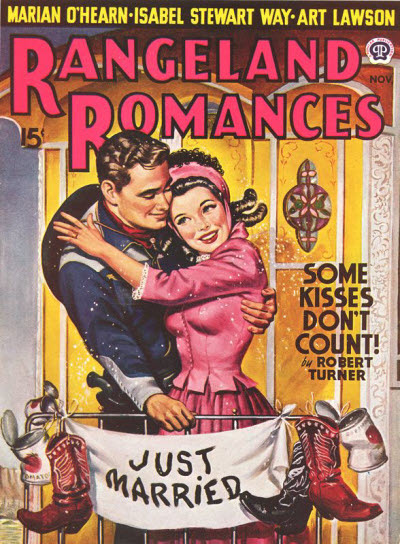 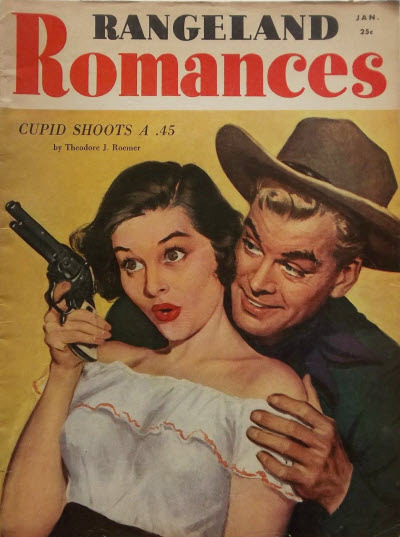 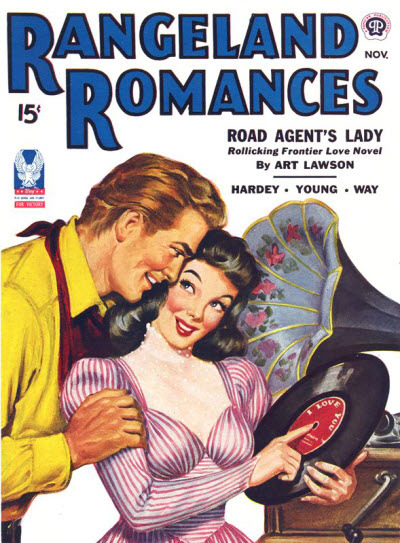 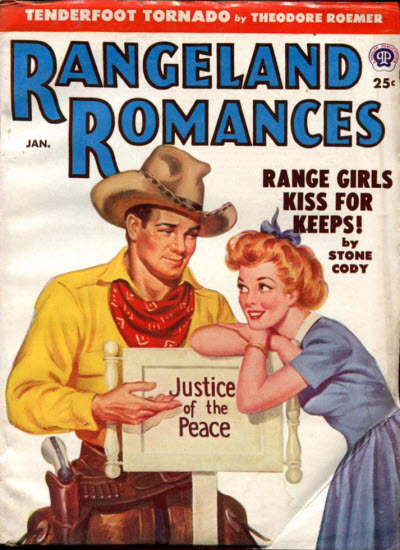 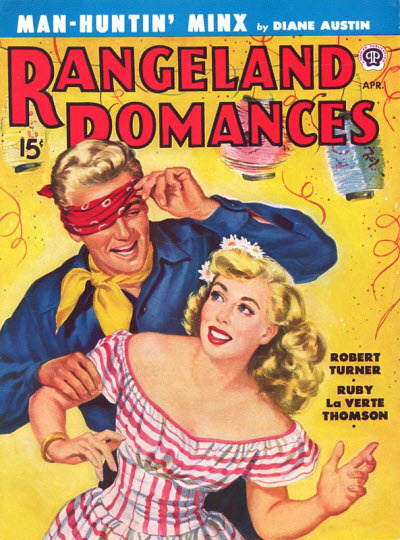 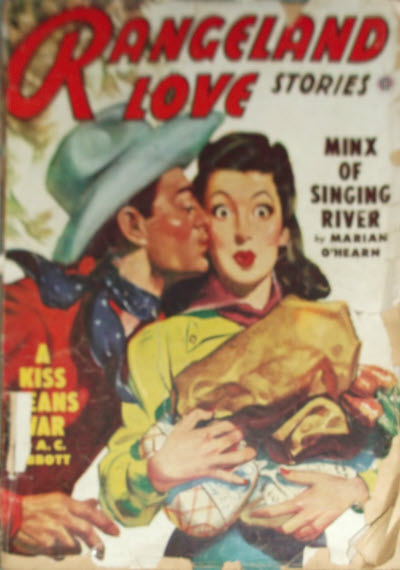 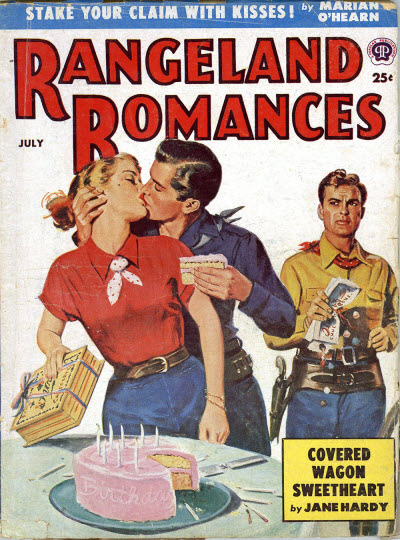 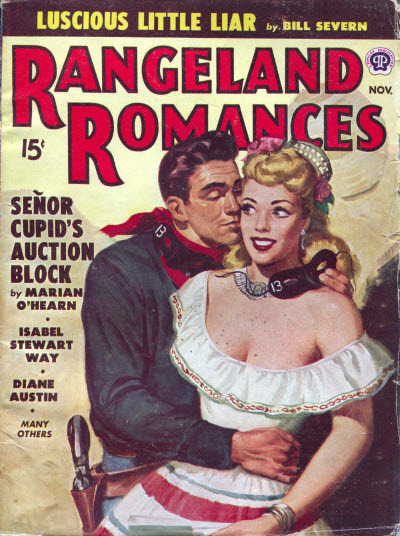 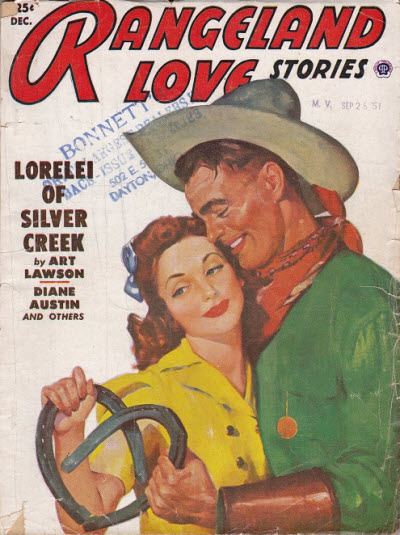 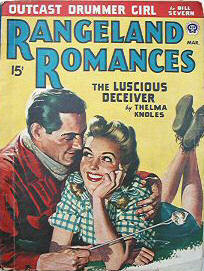 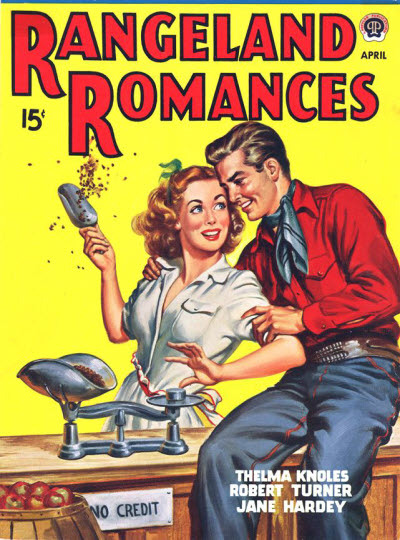 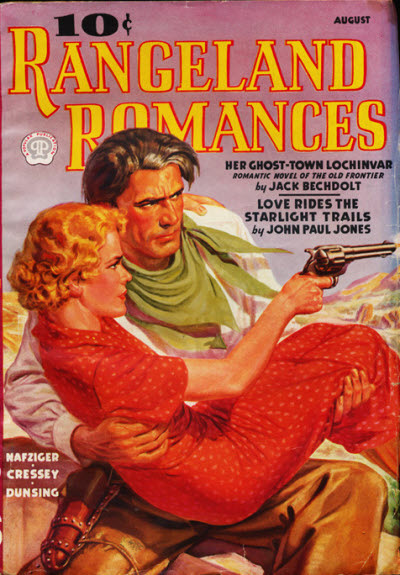 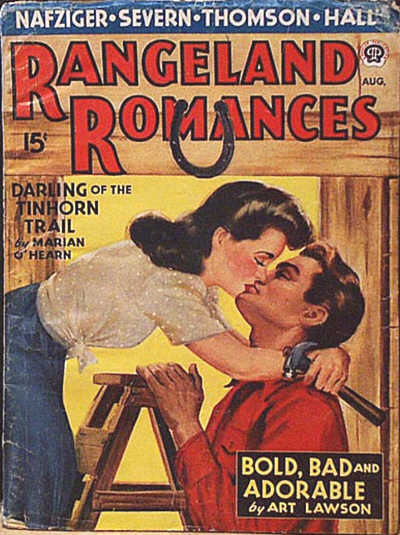 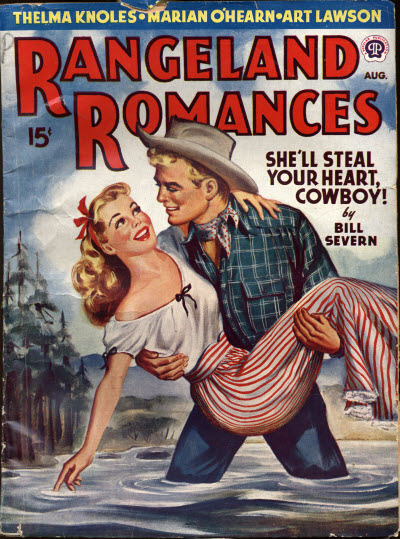 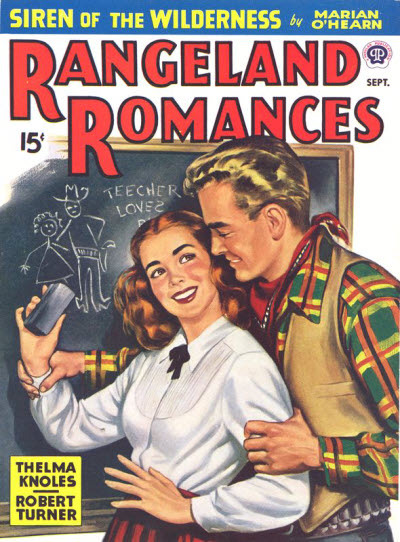 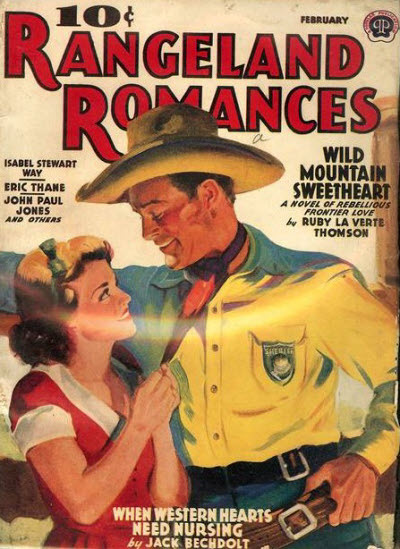 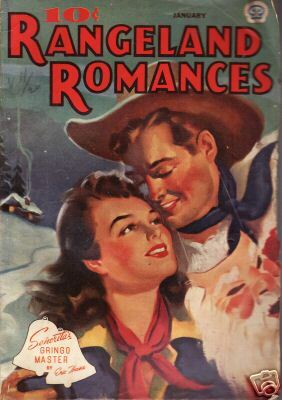 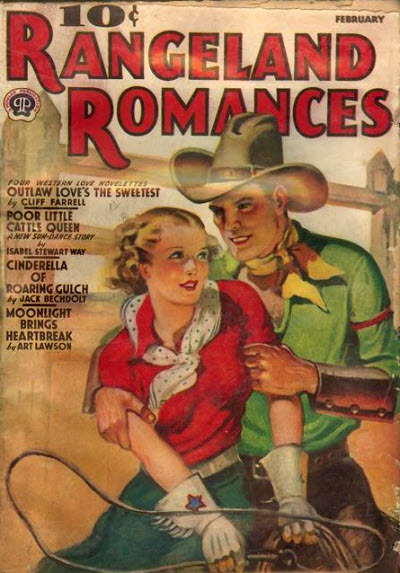 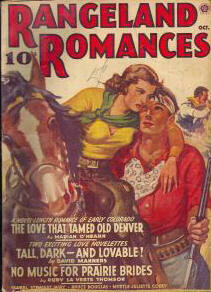 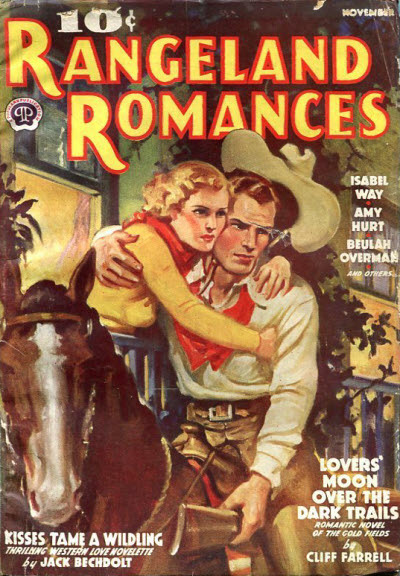 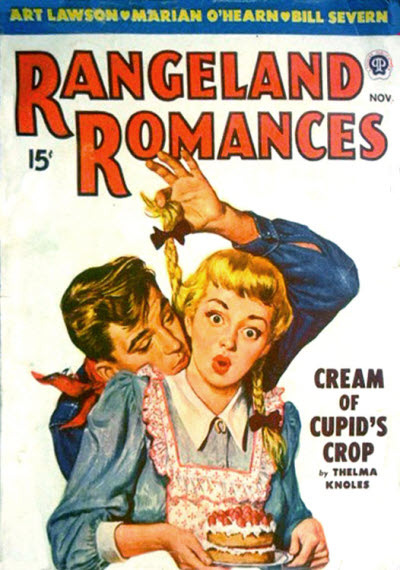 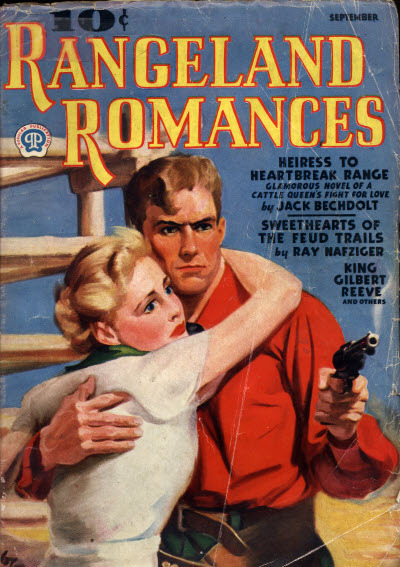 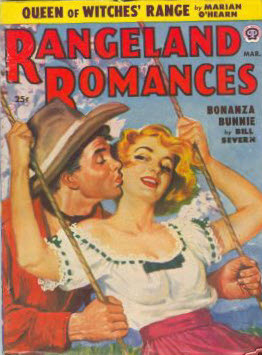 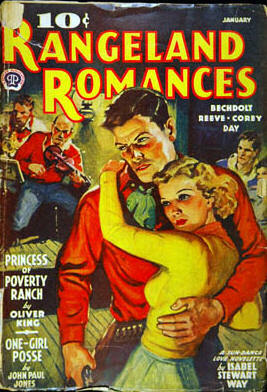 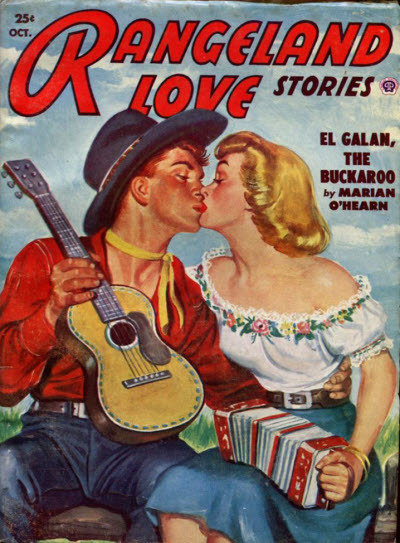 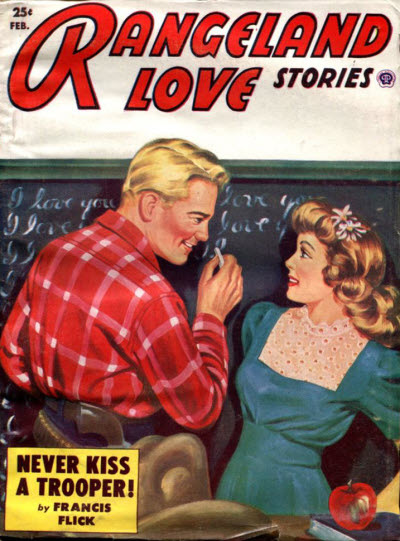 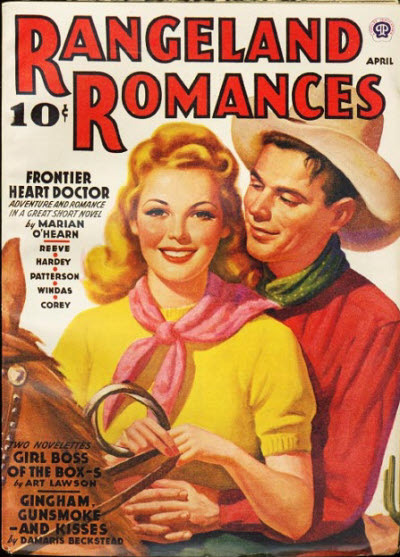 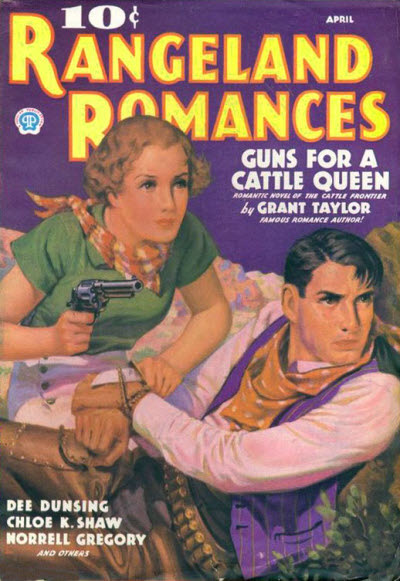 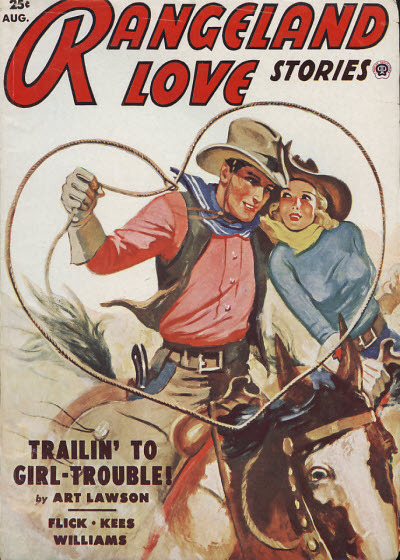 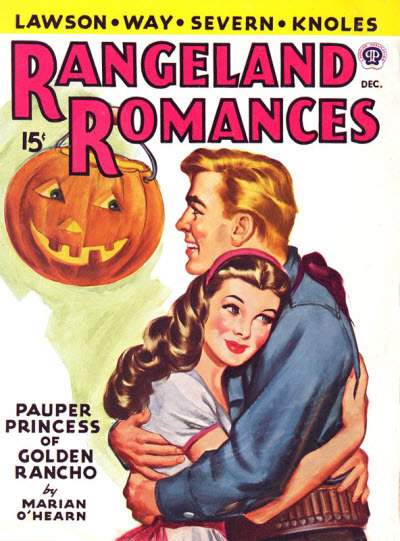 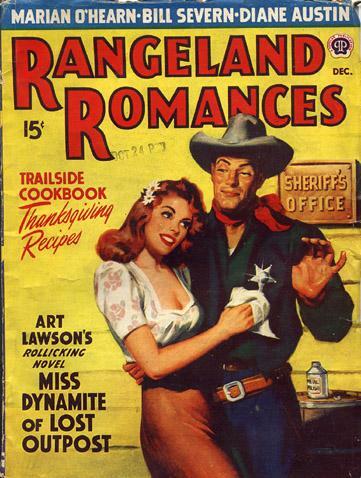 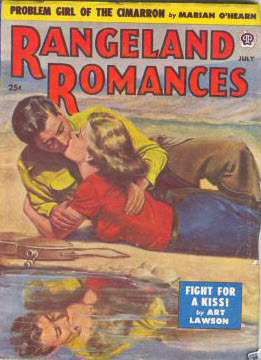 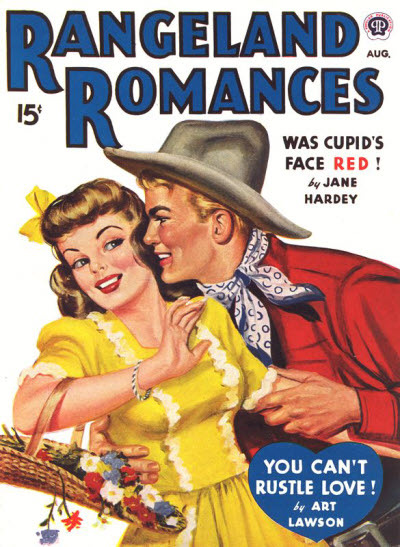 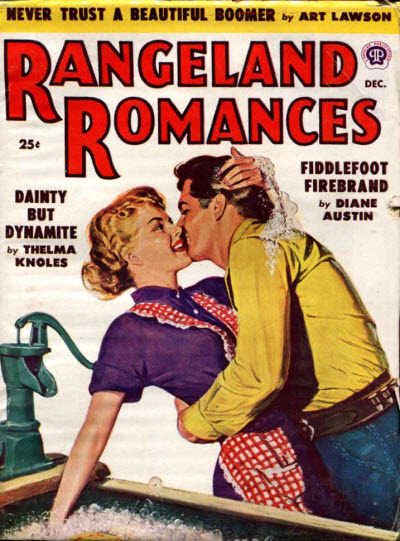 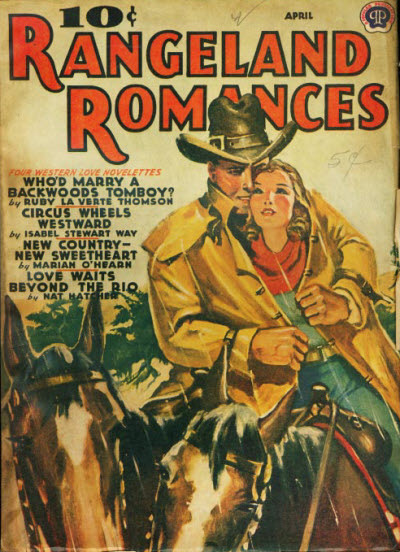 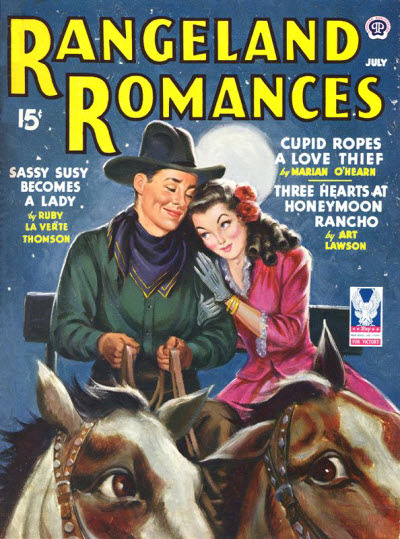 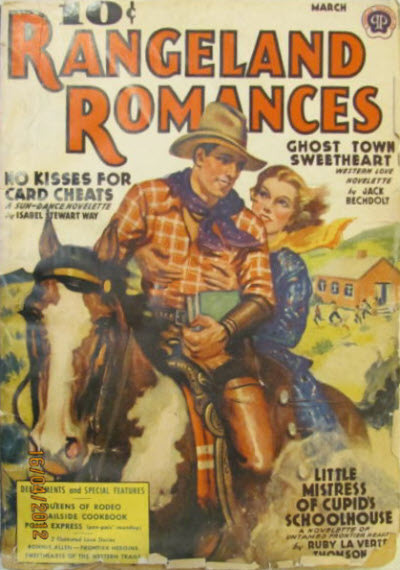 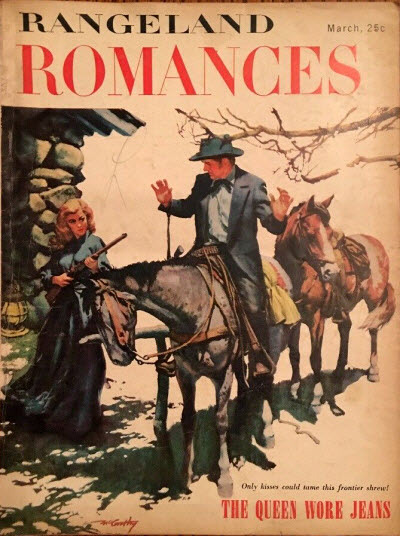 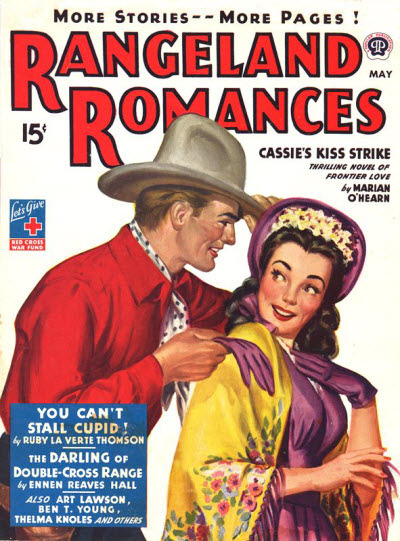 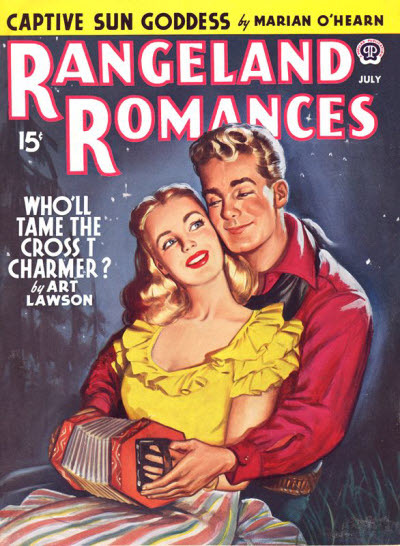 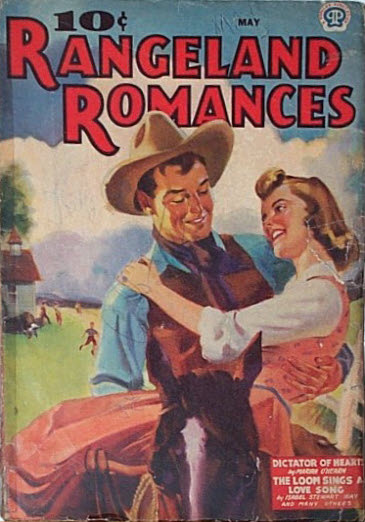 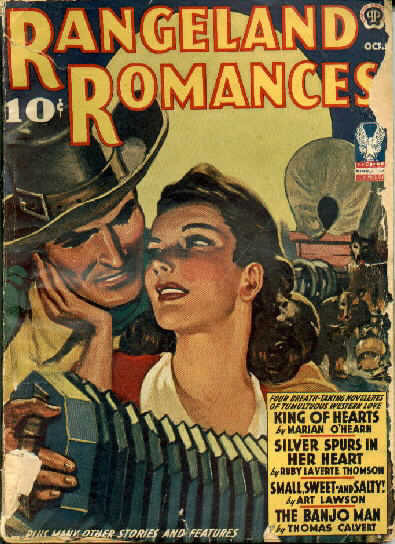 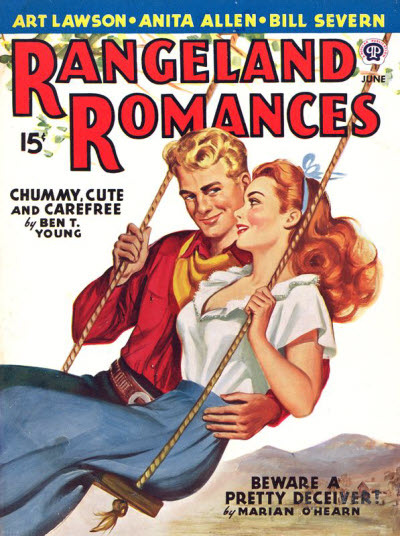 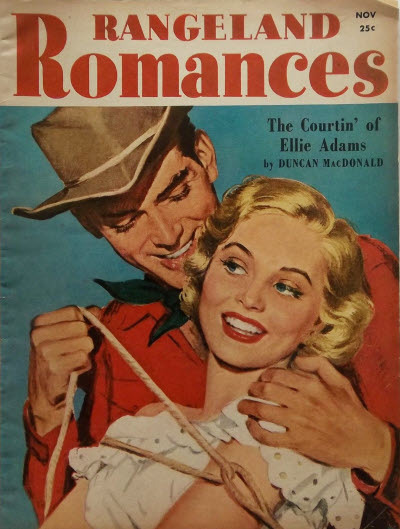 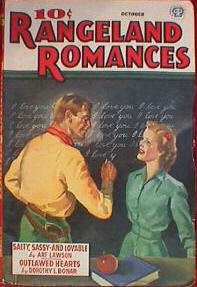 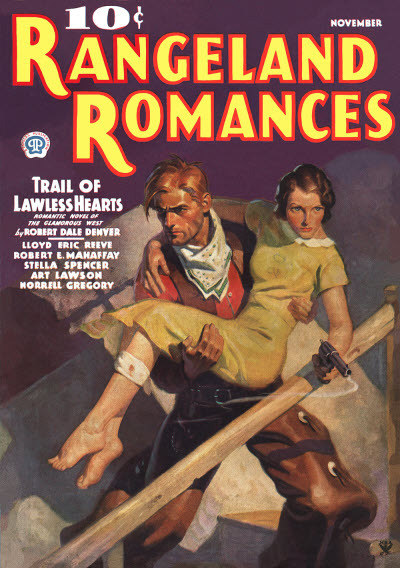 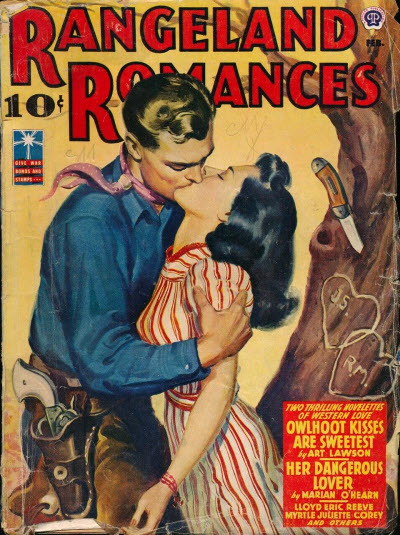 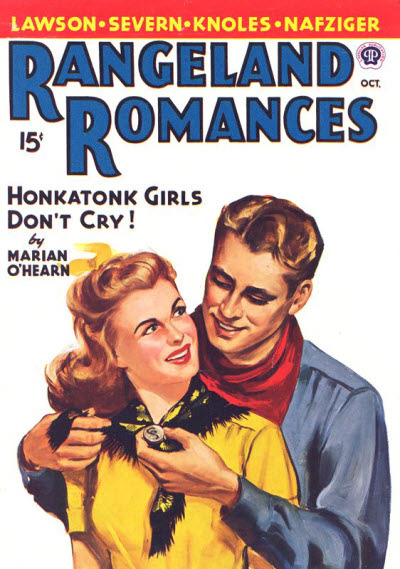 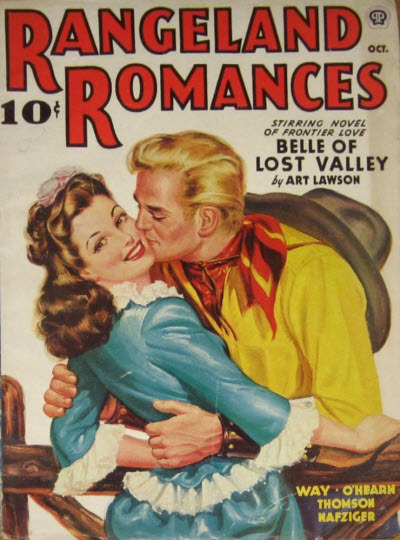 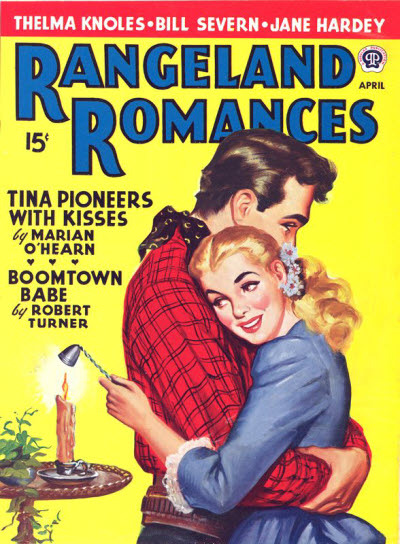 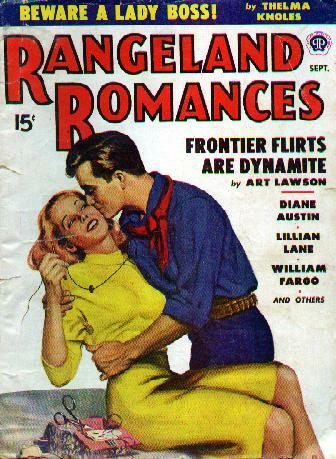 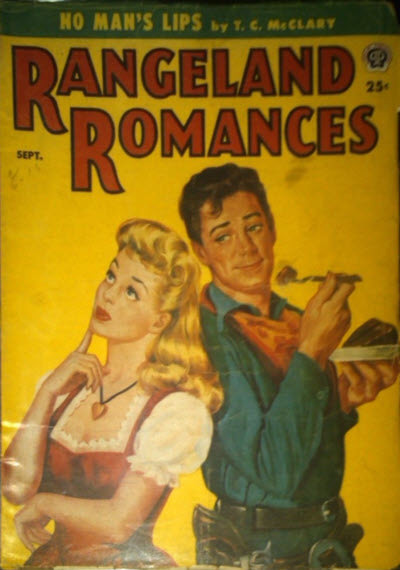 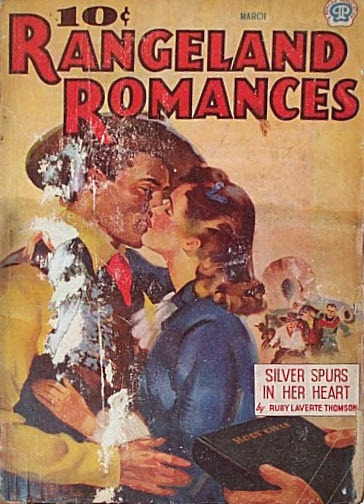 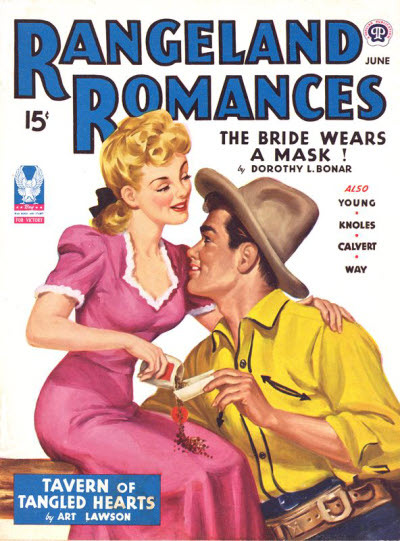 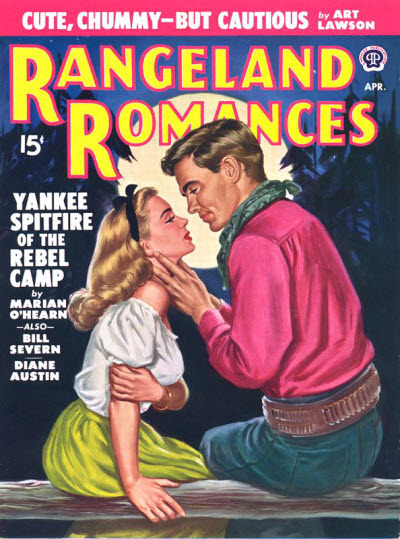 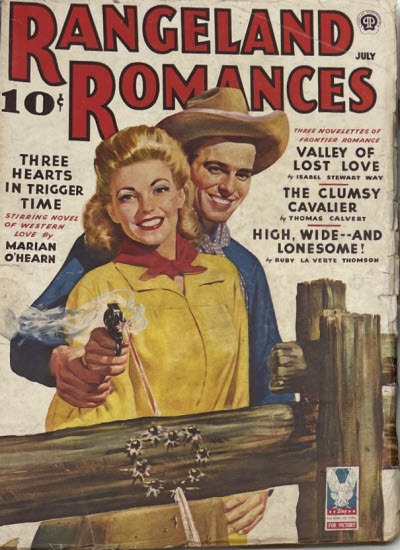 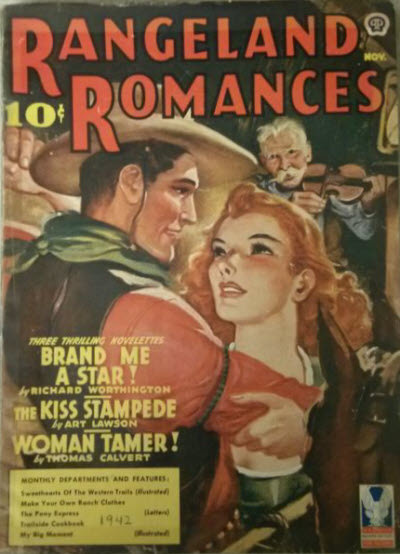 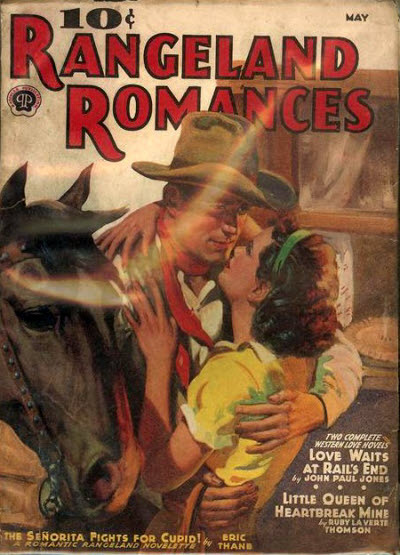 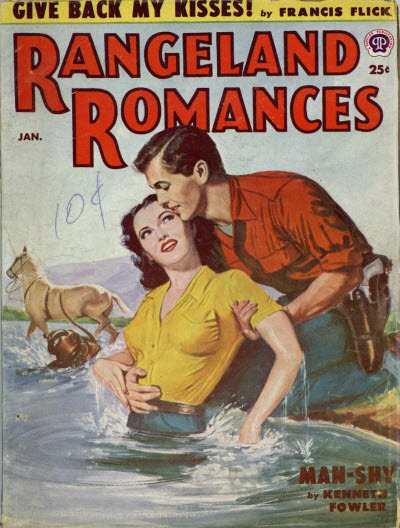 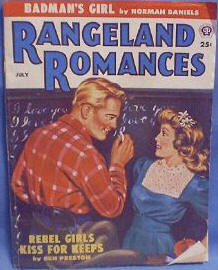 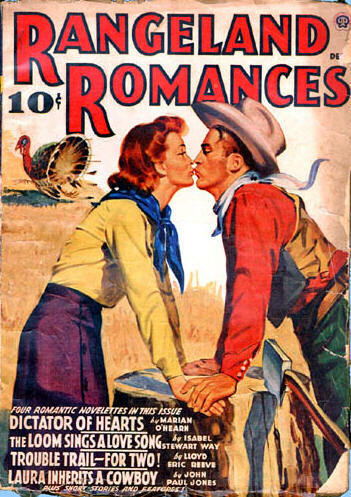 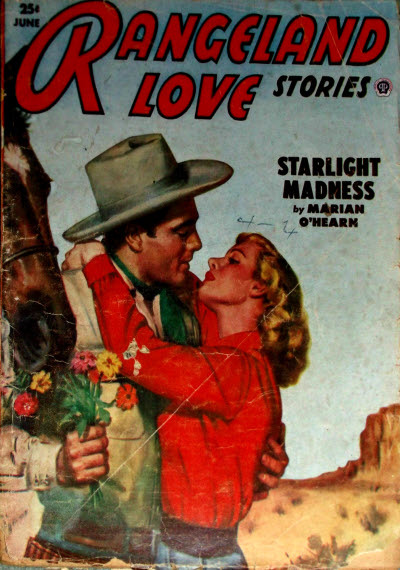 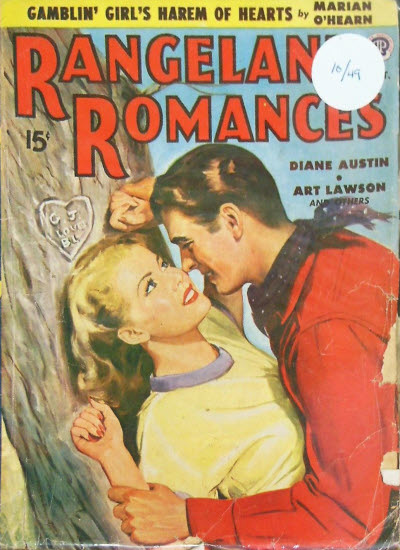 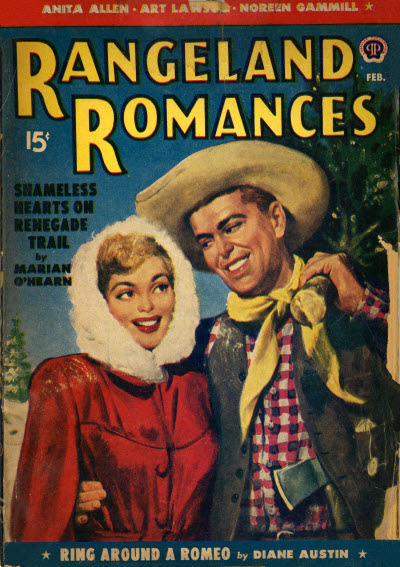 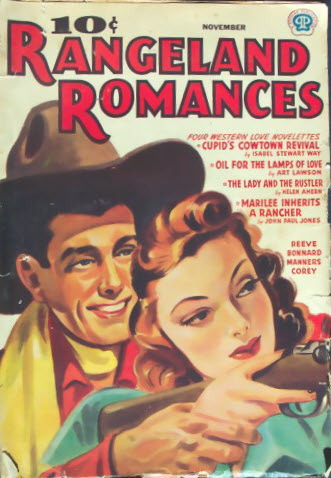 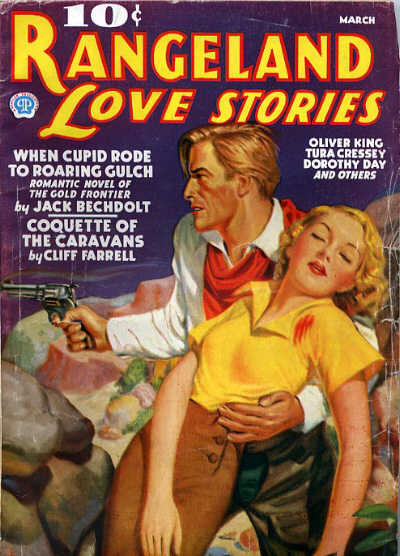 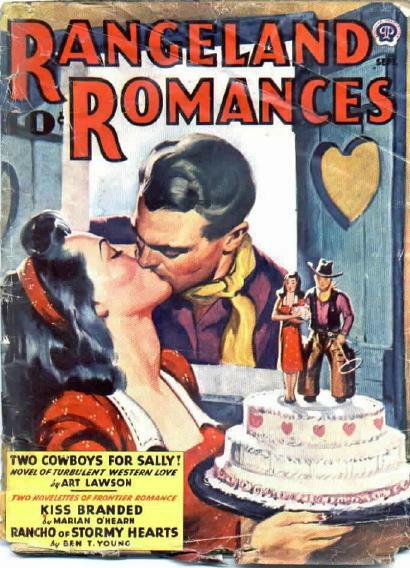 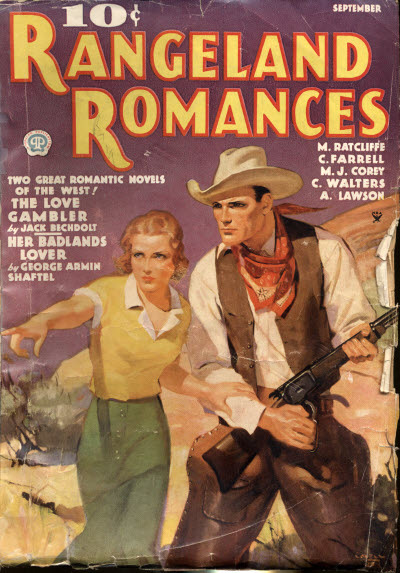 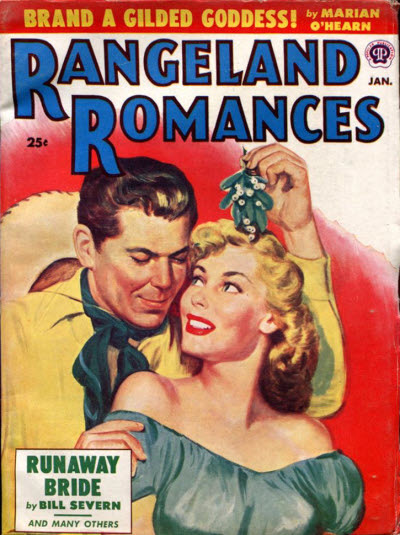 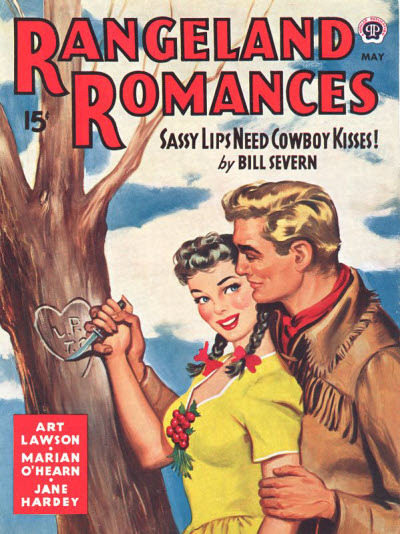 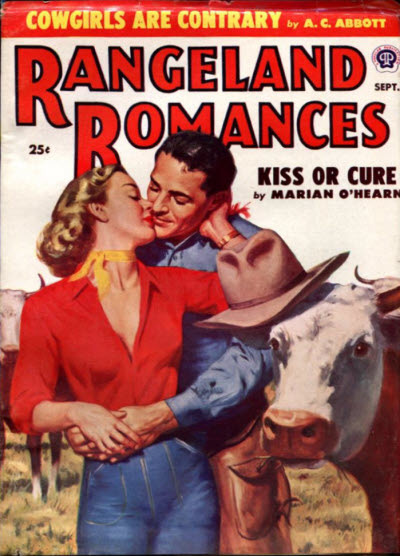 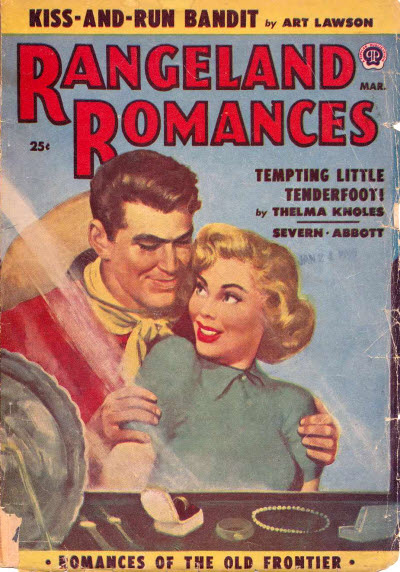 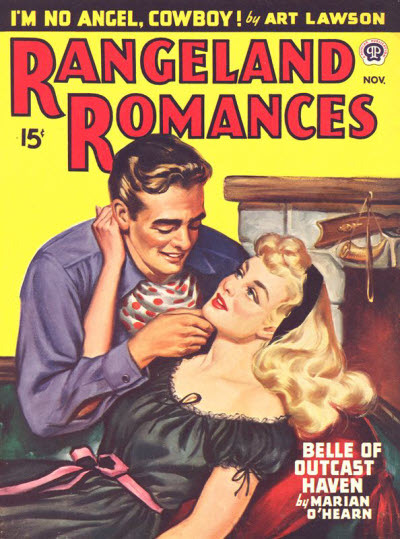 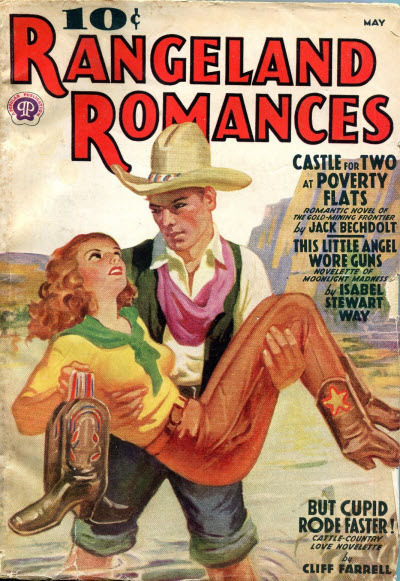 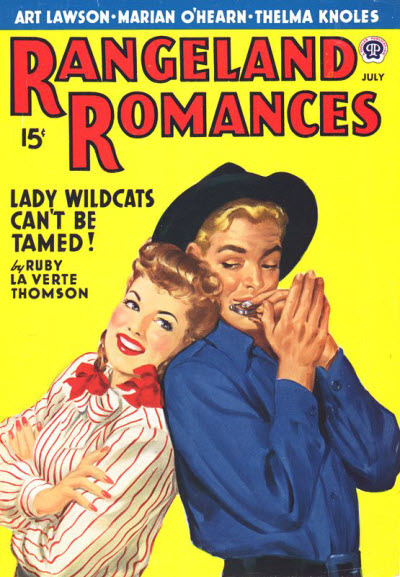 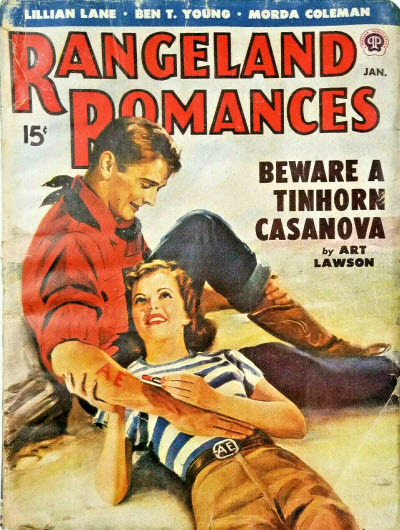 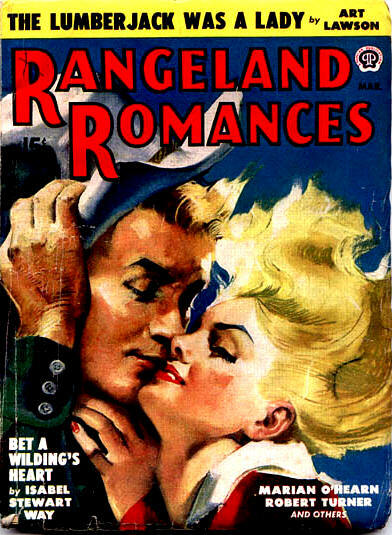 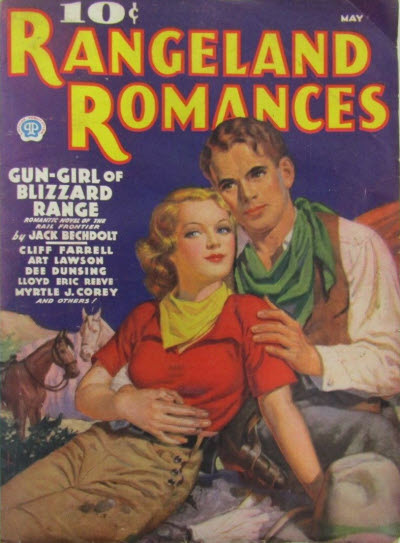 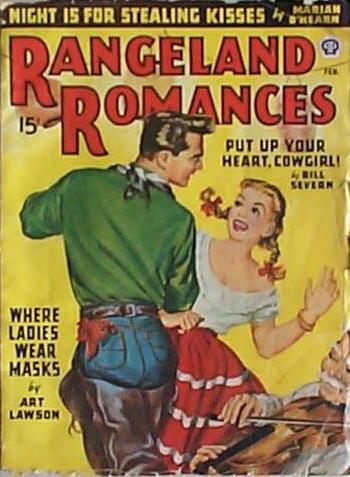 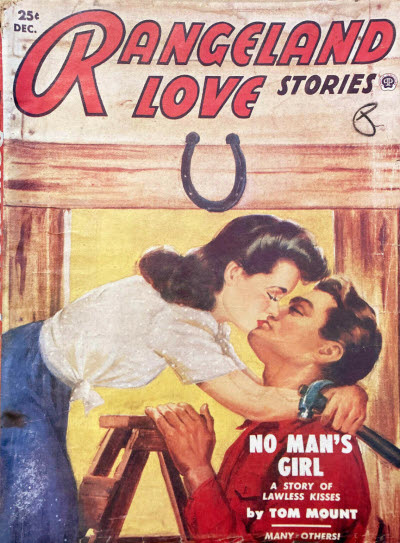 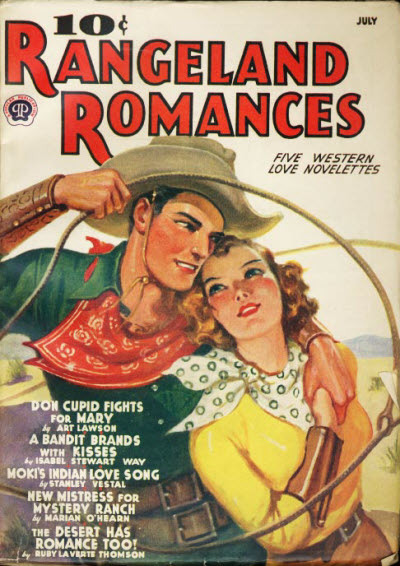 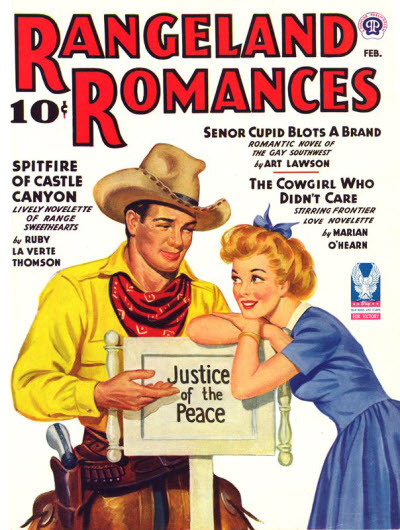 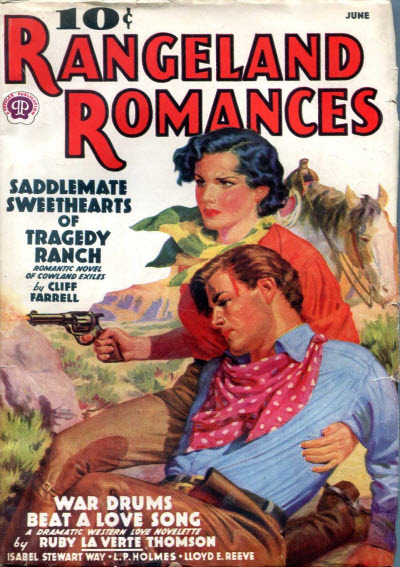 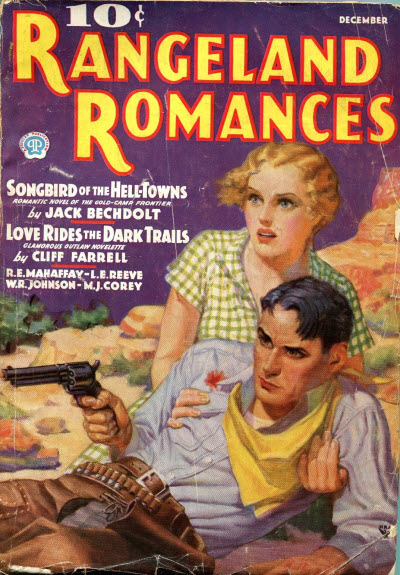 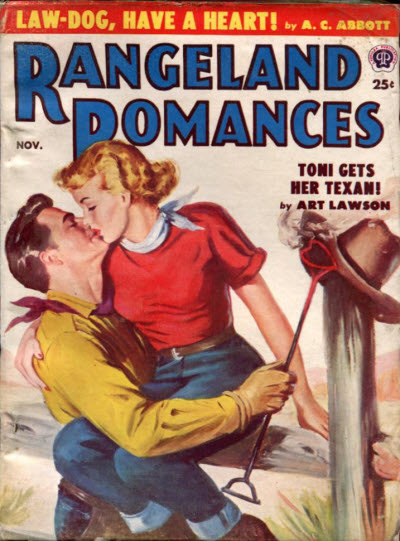 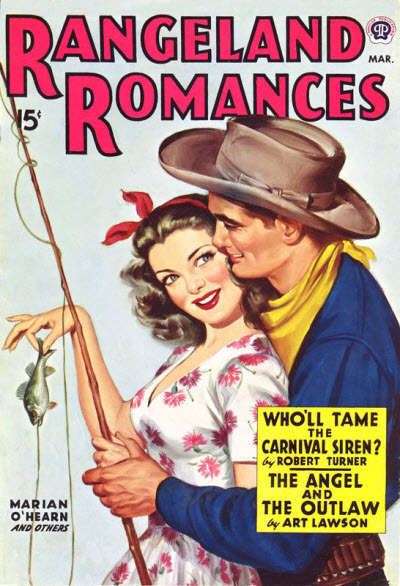 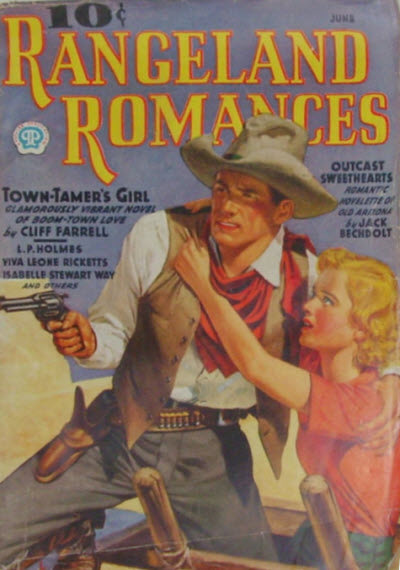 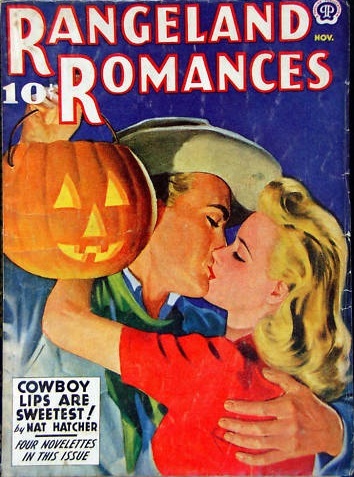 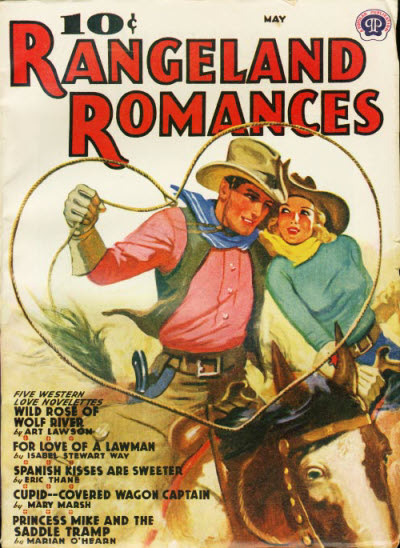 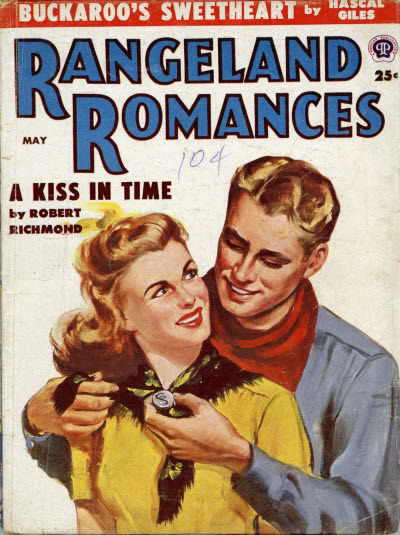 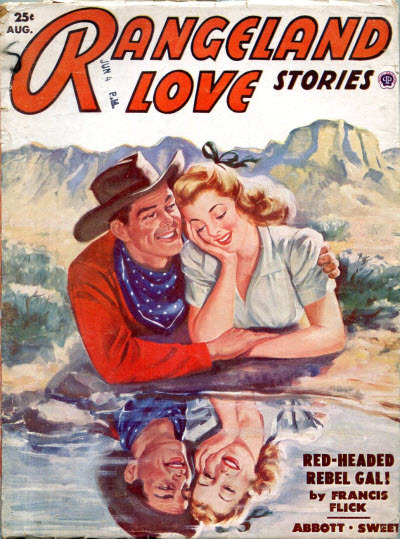 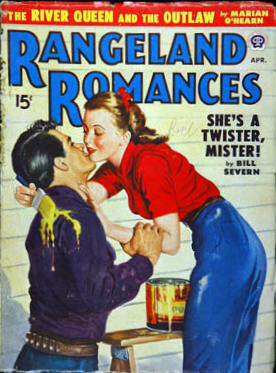 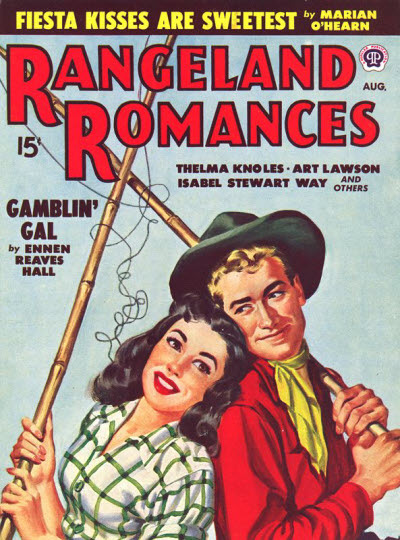 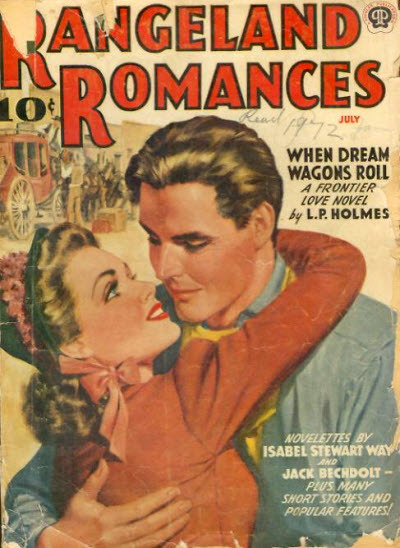 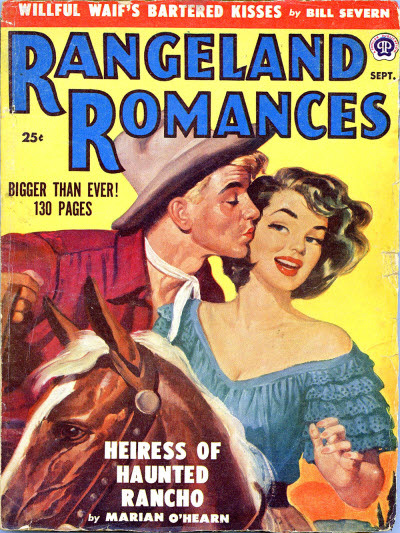 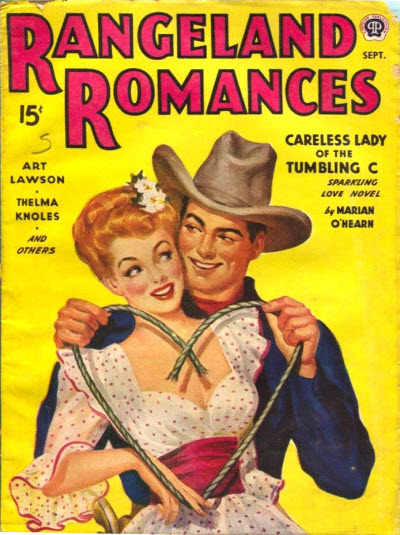 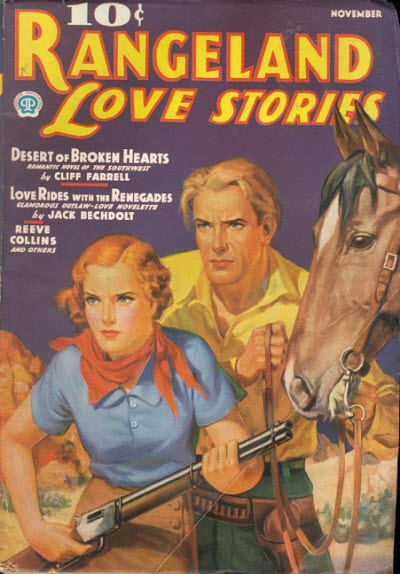 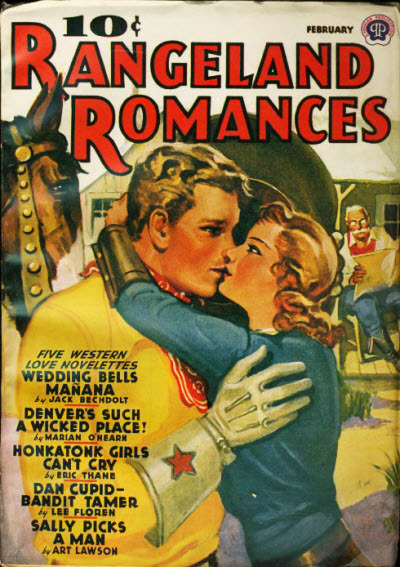 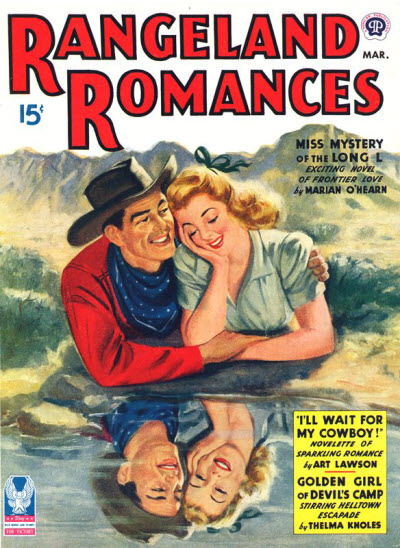 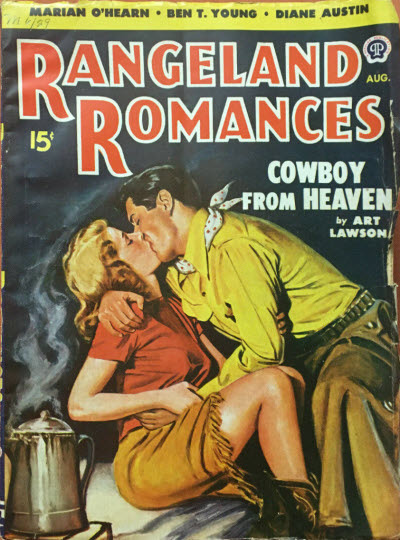 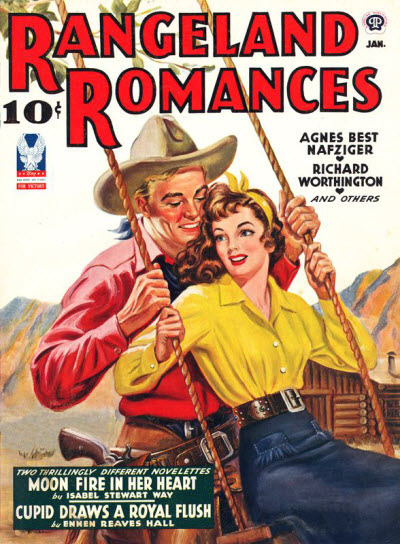 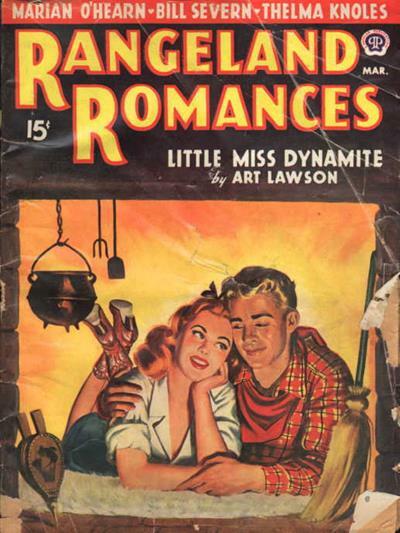 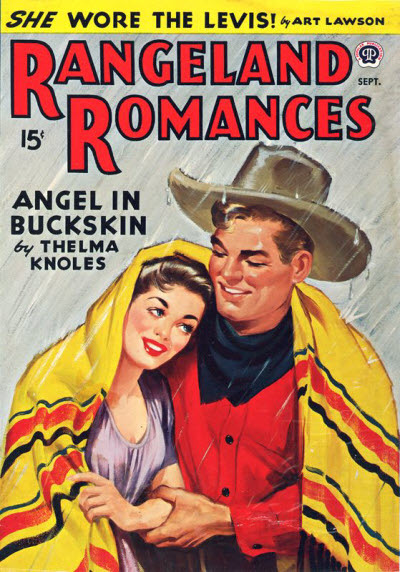 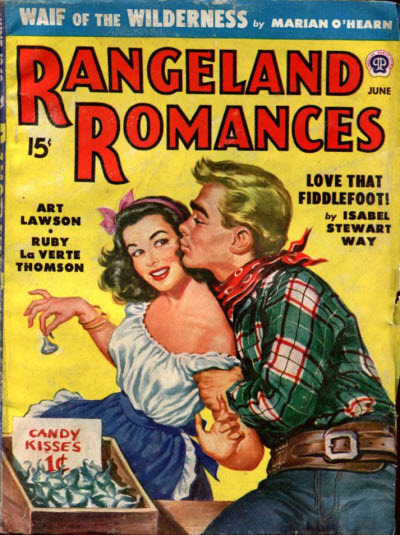 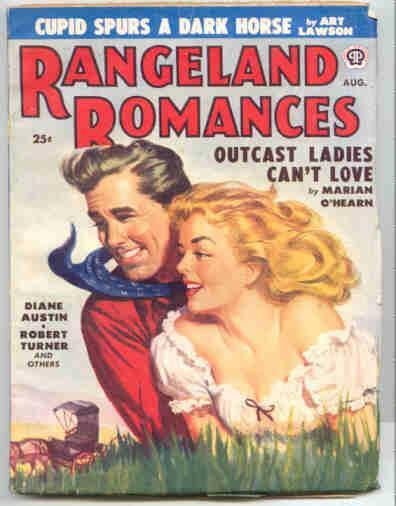 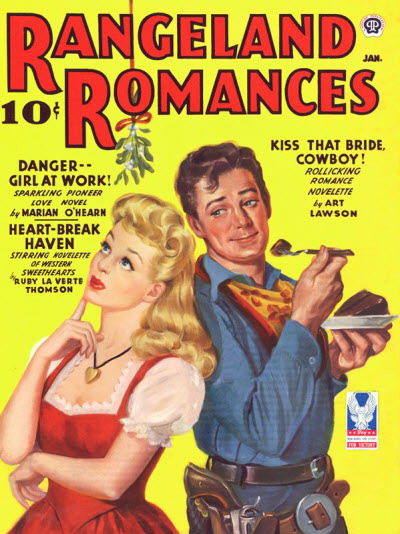 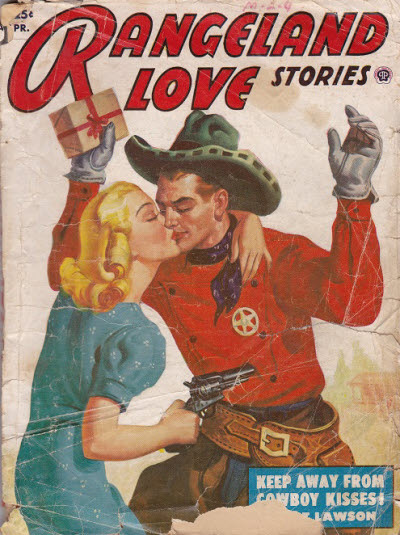 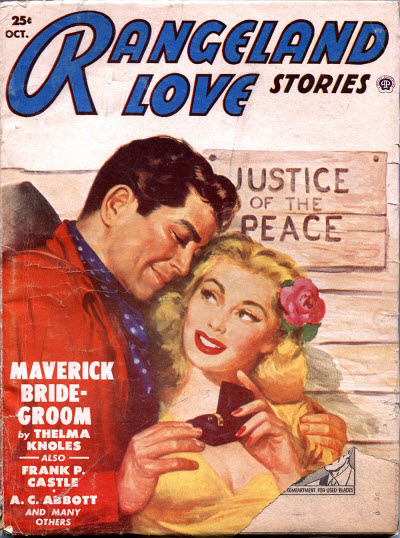 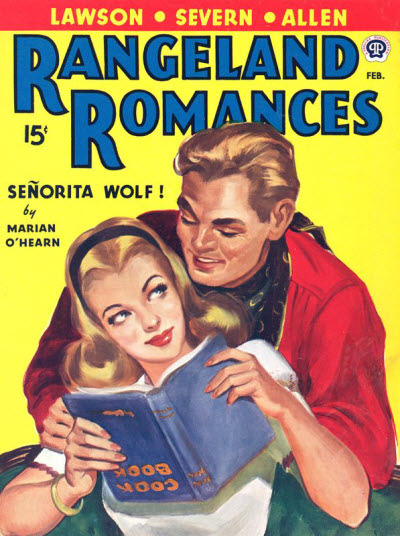 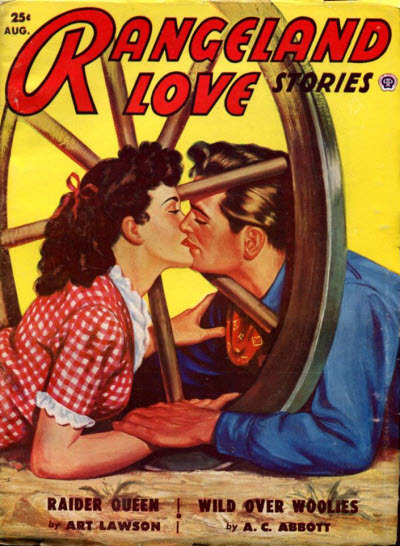 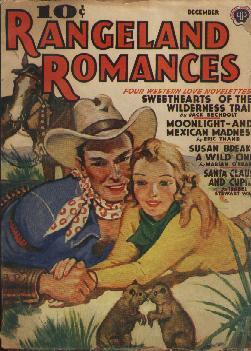 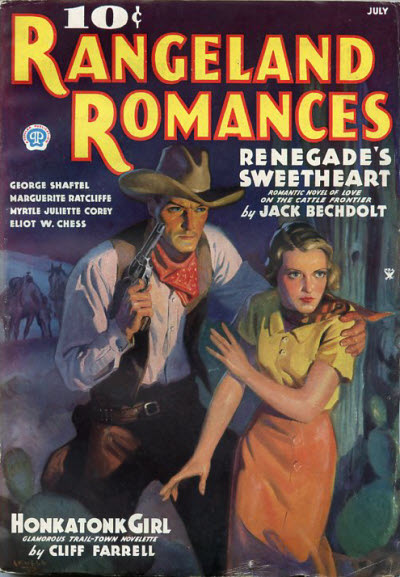 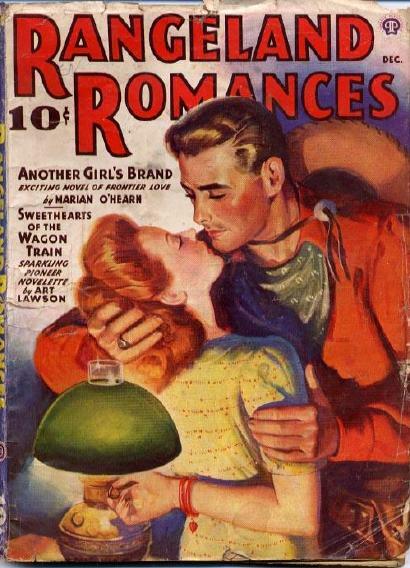 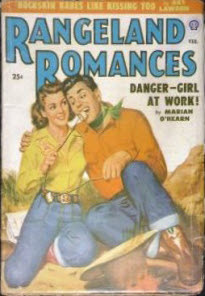 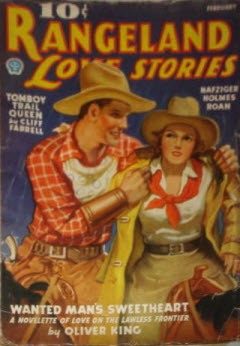 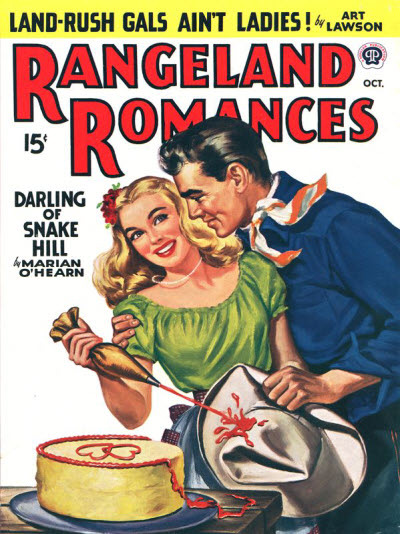 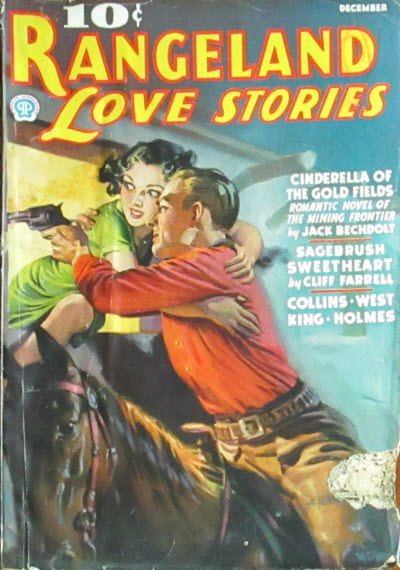 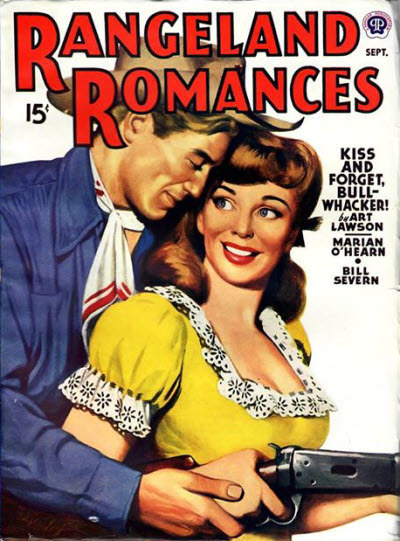 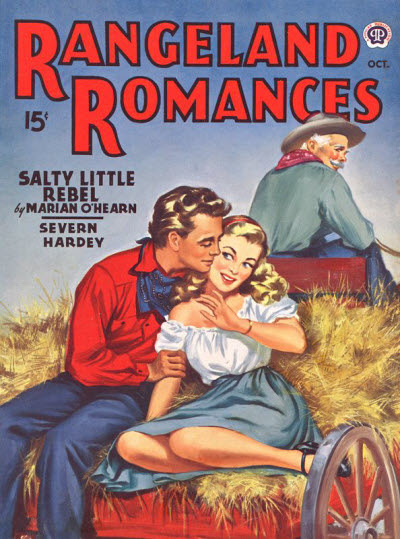 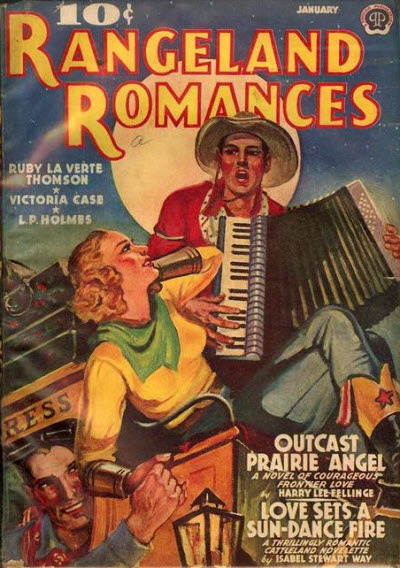 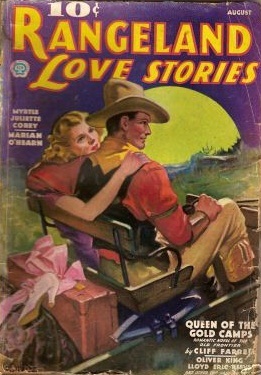 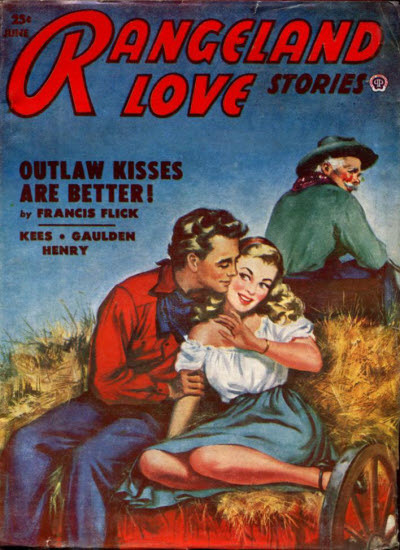 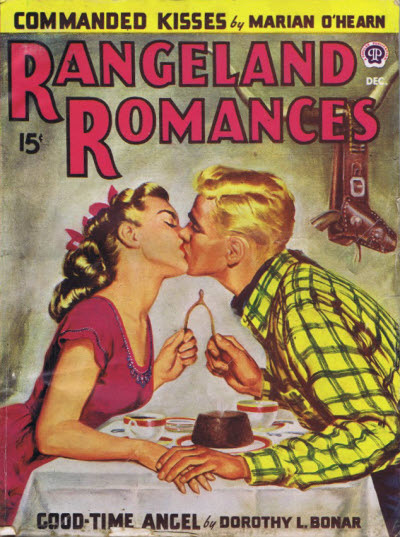 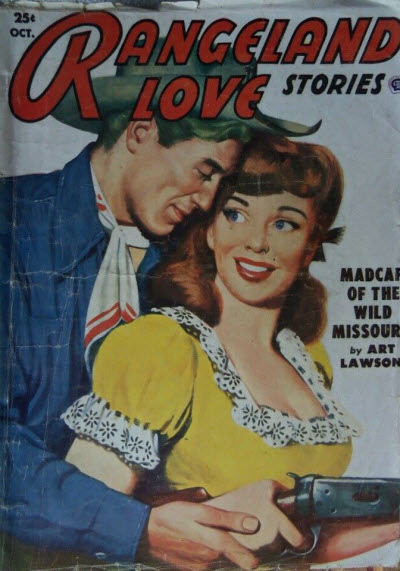 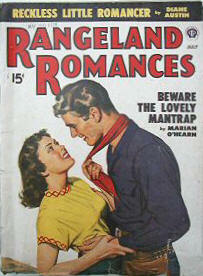 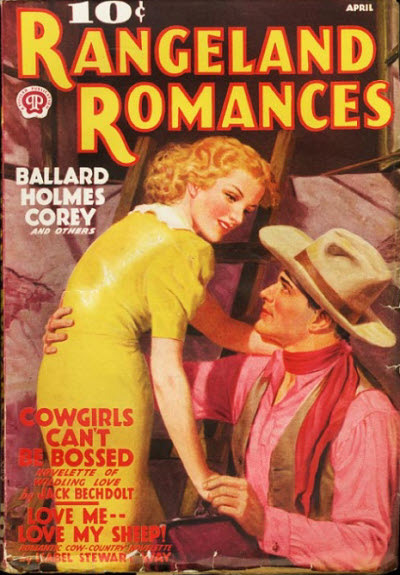 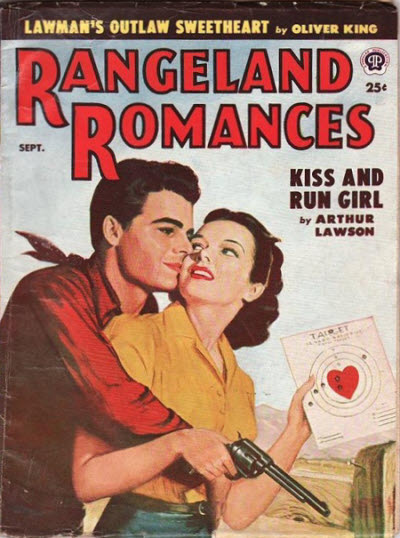 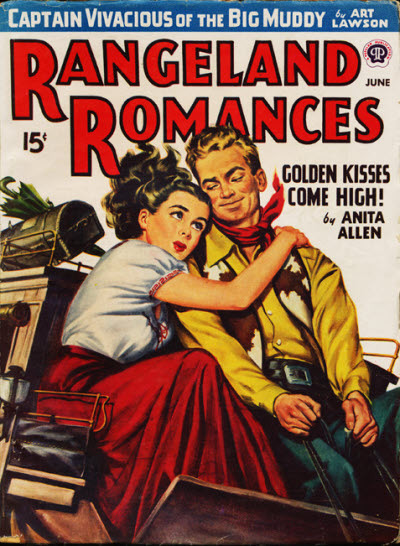 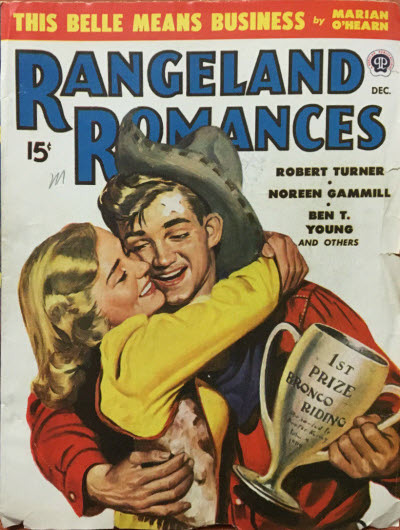 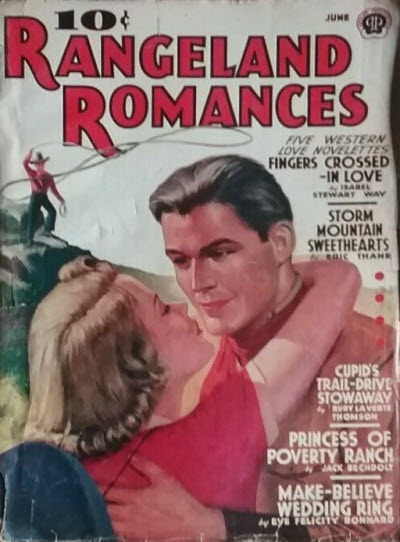 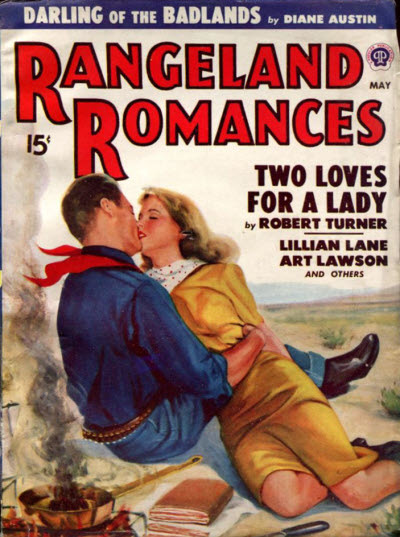 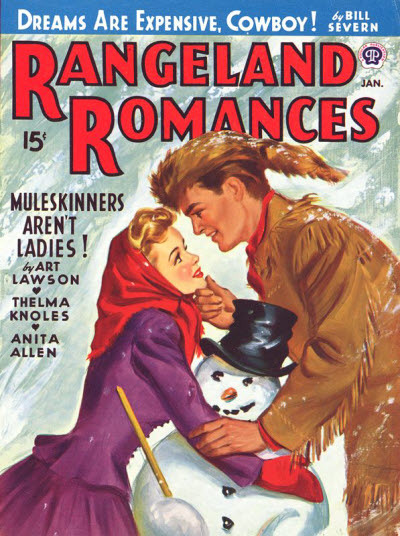 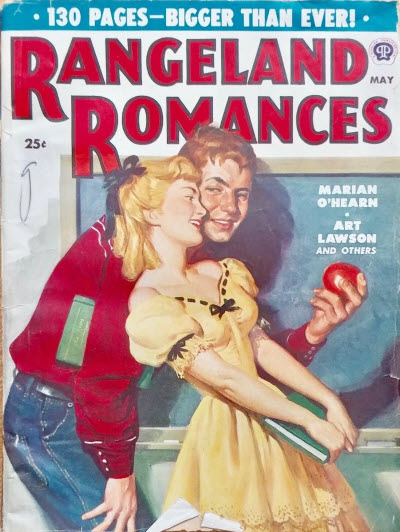 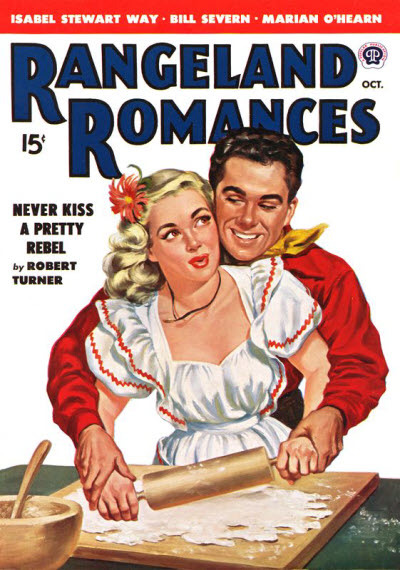 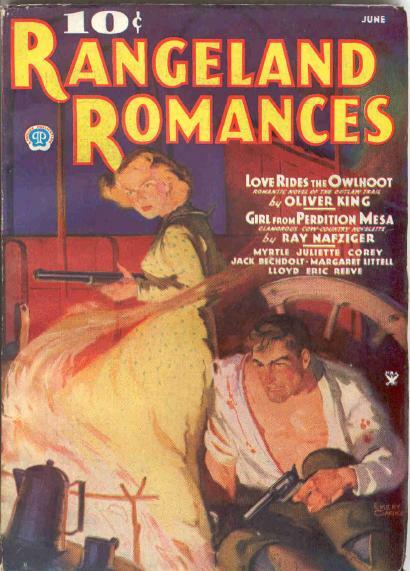 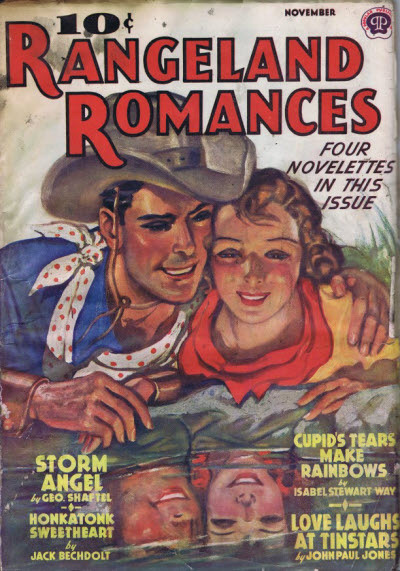 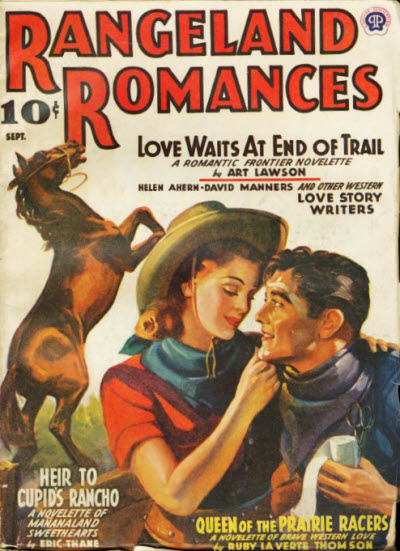 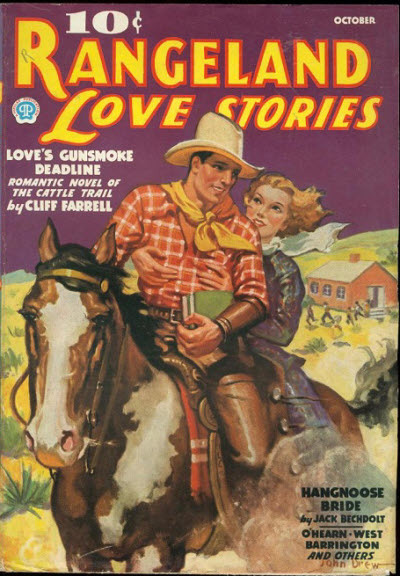 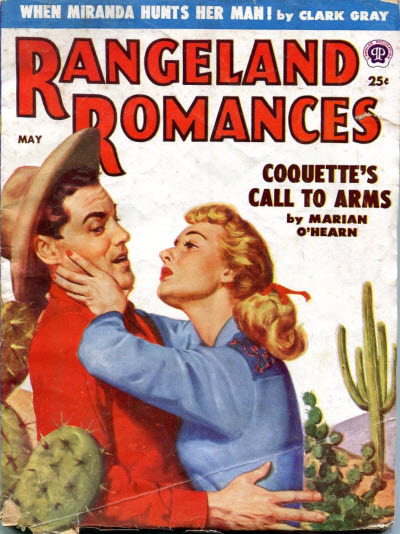 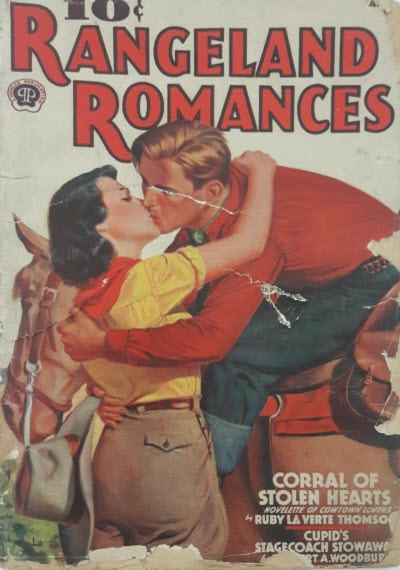 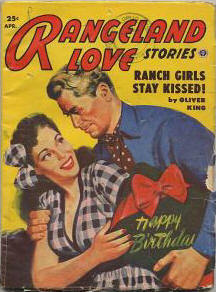 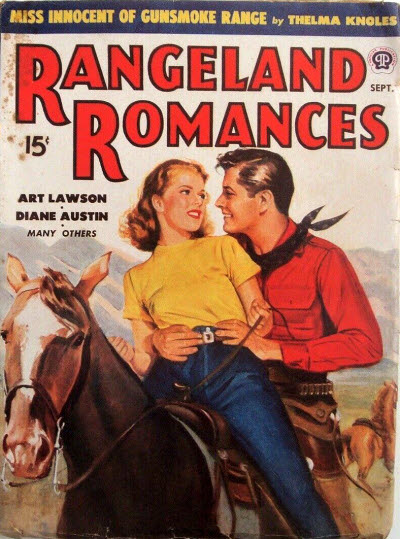 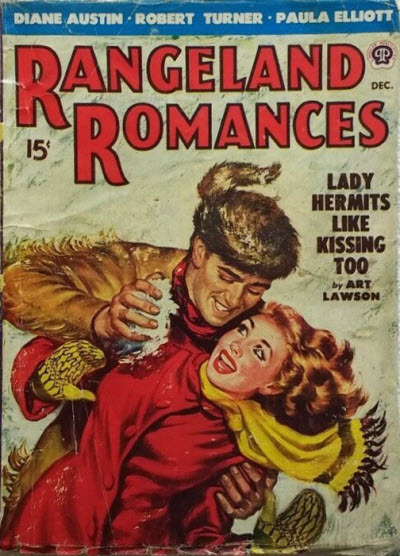 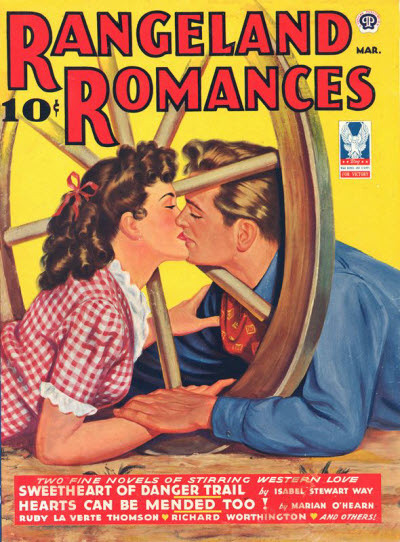 In some ways a revival of Rangeland Love Stories after it separated from Rangeland Romances. 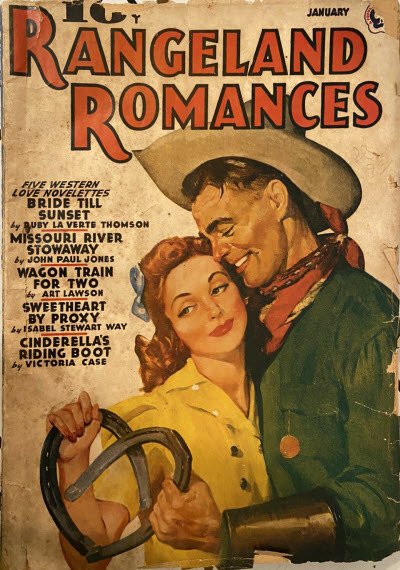 A Canadian reprint edition exists for the magazine.